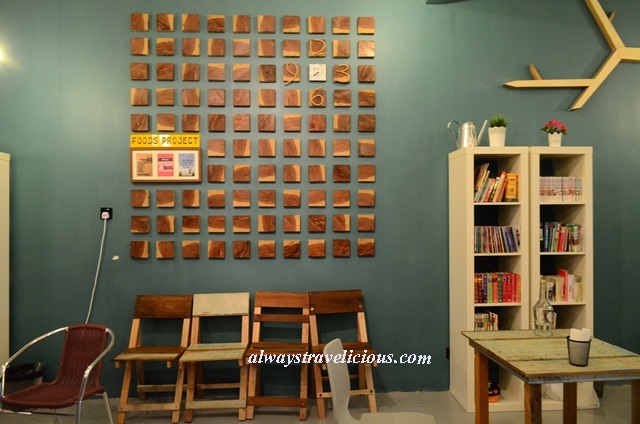 81 Cafes to Visit in Ipoh - Always Travelicious ! 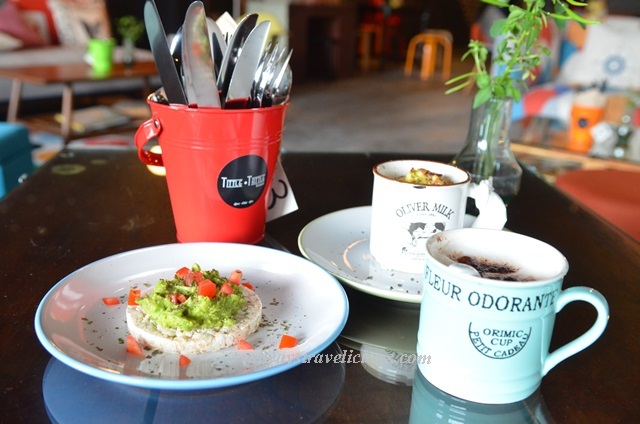 It’s a new year, new beginning and more new cafes to visit in Ipoh. 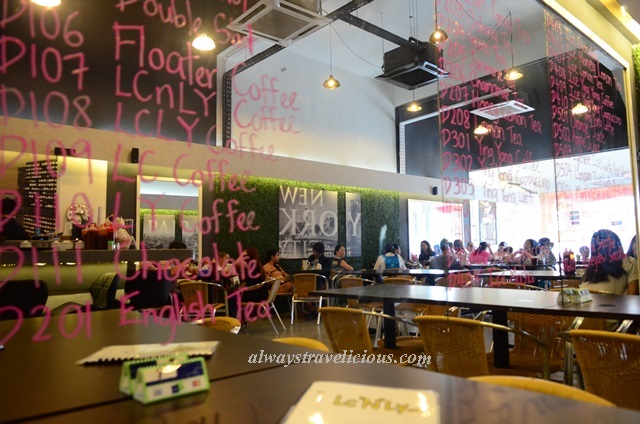 Last year, when I wrote 34 Cafes to Visit in Ipoh, I thought that sounded like a big number for small town Ipoh and that number might reach a plateau soon. I was so wrong. In 2014 itself, at least 40 new cafes opened. You still get the boutique cafes and the crossover cafes. 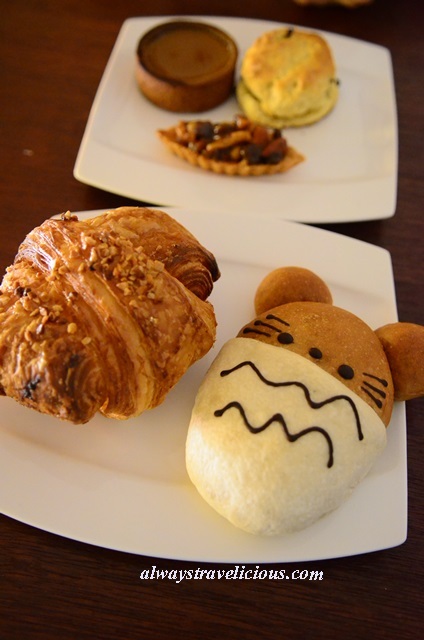 This time, there are also cafes that are not as boutique, but food is good and reasonably priced. You get a few cafes with unique food creations, but the cafe menu in general is still mostly predictable – the usual pasta, sandwiches and burgers. You are not going to get anything like “Provencal Four Seasons Salad” or “Croissant with Roquefort and Gorgonzala”, but just try asking for the signature dish and you might be pleasantly surprised. **2017 update** This post was written a few years ago, you should double check if the cafe is still in business before going to avoid disappointment. The list is in three sections. Section 1 : The latest 39 cafes that opened in 2014 and I’ve managed to catch a few that opened in 2015. 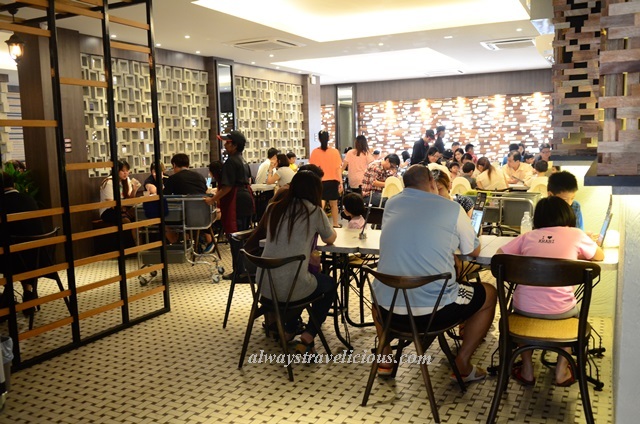 Section 2: There are 8 cafes in this section, featuring cafes that opened in 2013 or earlier, some I missed out last year and some were recommended by readers. Section 3 : The original 34 Cafes are indexed here for easy reference. So that makes 81 of them and I decided to do a Chinese version too this year –> 怡保81间特色咖啡屋/Cafe 攻略秘籍。For more information for each of the cafe, click on the individual links provided below. 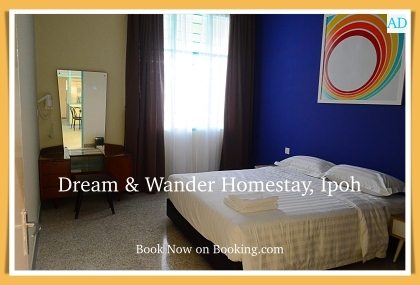 If you need a place to stay during your visit to Ipoh, check out Dream & Wander Homestay on booking.com. 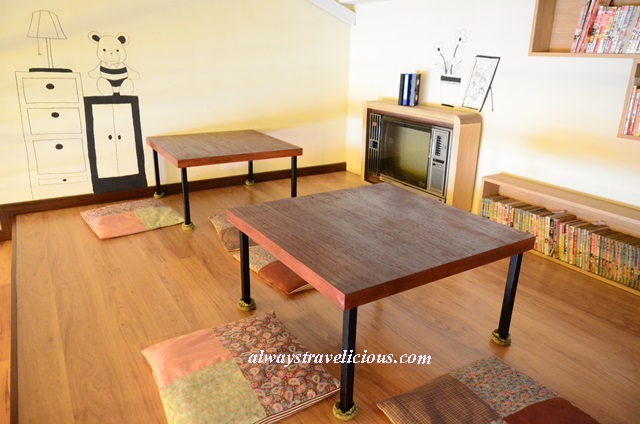 The vintage & chic homestay sleeps 6 – 8 people and the rate starts RM 330 per night for the entire house. See more pictures of Dream & Wander Homestay here, or you may contact them through Dream & Wander Homestay’s Facebook page, or via email [email protected].com. 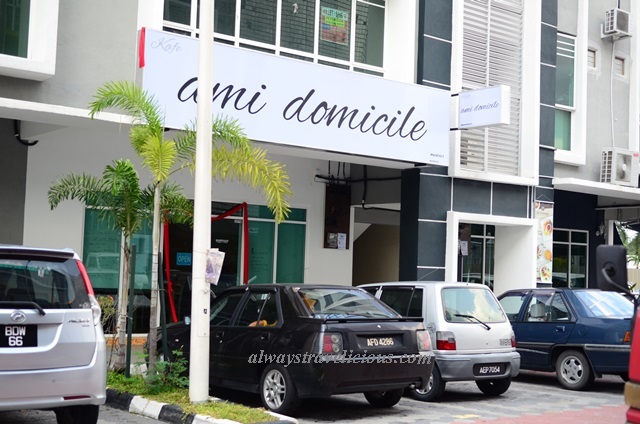 Ami Domicile has opted for the minimalist look and all the focus will be on the food. The white wine cream linguine is splendid with the scent of lightly charred bacon saying hello before anything else. The dish is well balanced with ample amounts of mushroom, ham and a pleasurable herb-based white cream with a drizzle of olive oil. I even like the utensils there, heavyweight yet elegant, which instantly ups the dining experience. Expect Rm 20 – RM30 per person for one food and one drink. Opening Hours : Closed on Tuesdays. If you are counting calories, you can forget about it at Basileuo Salad Café because there is no need to. 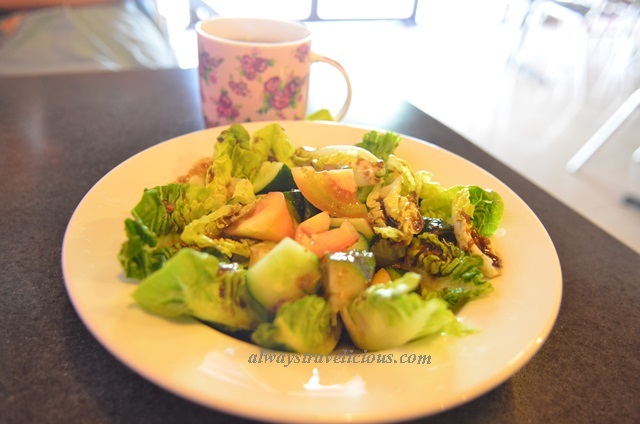 The simplistic cafe in green oozes fresh energy with a focus on healthy food that’s light on the use of oil, salt but big in nutritional values, with almost 50 different kinds of salad toppings to choose from. You may opt to choose your own toppings or you can let the chef surprise you with her choices. Salad is not the only thing with a healthy focus; other items on the menu such as sandwich, pasta and soup stick to the same regimen. 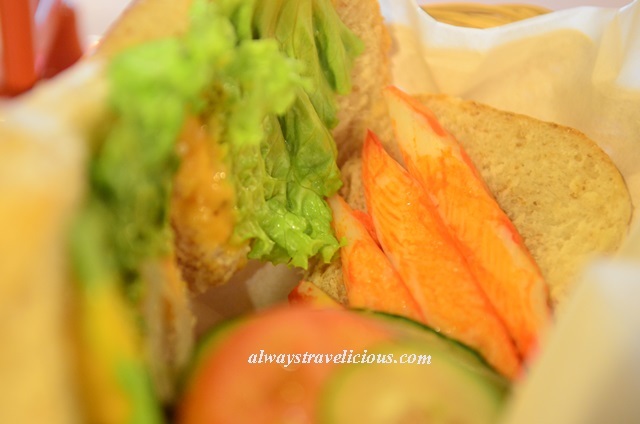 The East-Meets-West smoked salmon panini is worth a try. Expect Rm 20 – RM30 per person for one food and one drink. 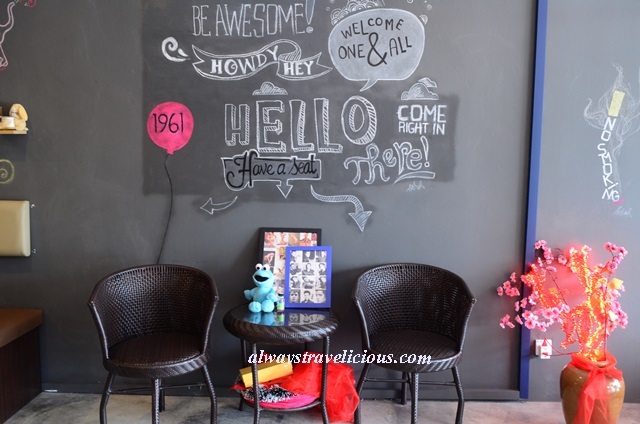 Full of energetic vibe, Cafe 1961 at Station 18 serves delectable food with an artsy charm. The exuberant chalk arts on the black walls make awesome backdrops for a hip and chic selfie. 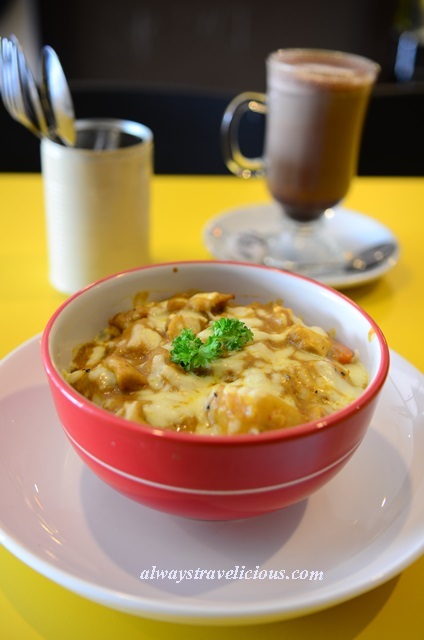 The Portuguese baked rice is topped with a succulent layer of chicken and smothered with cheese and a sauce similar to Japanese curry, except this one has an extra hint of galangal. 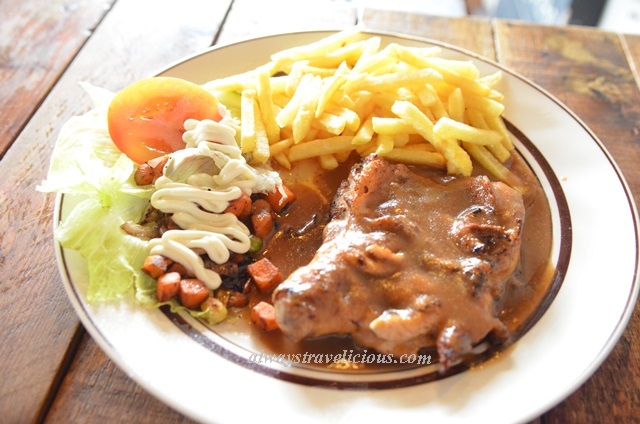 We enjoyed the mushroom soup in coffee mug and the peppery chicken chop too. 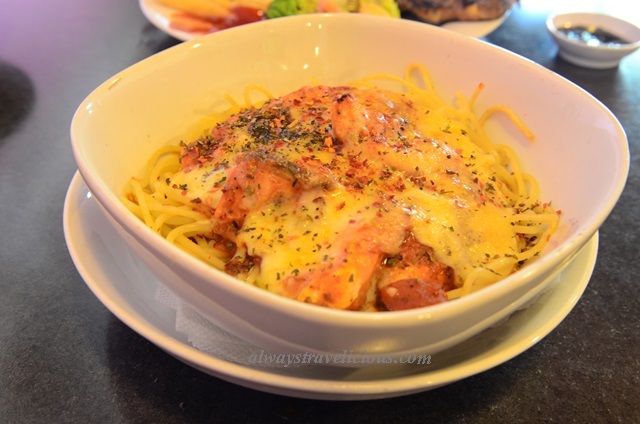 Expect Rm 15 – RM 25 per person for one food and one drink. Address: 35, Medan Stesen 19, Station 18, Ipoh, Perak, Malaysia. Opening Hours : 10.30 am – 5 pm. 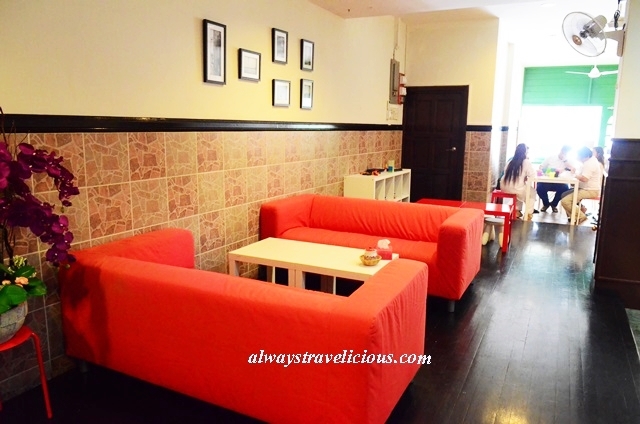 Café De Eight is located discreetly amidst a row of wholesales stores in Ipoh Old Town. 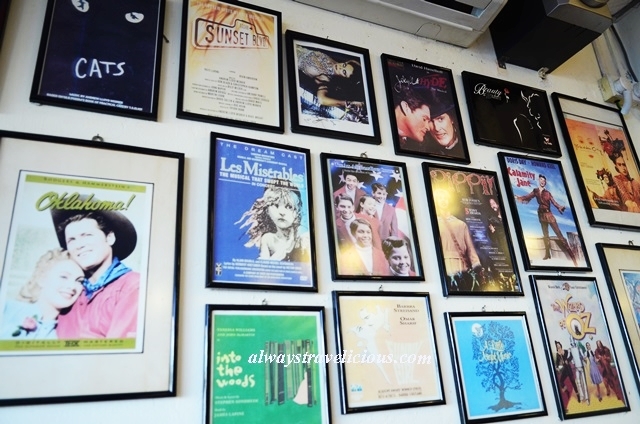 The café exudes a poetic ambiance whereby books, movie-inspired murals and movie posters dominate the mottled walls. The pork burger consists of a moist patty that has a crackling outer crust and the secret weapon used – pork lard, makes it especially fantastic . Pair it with mojito mocktail. 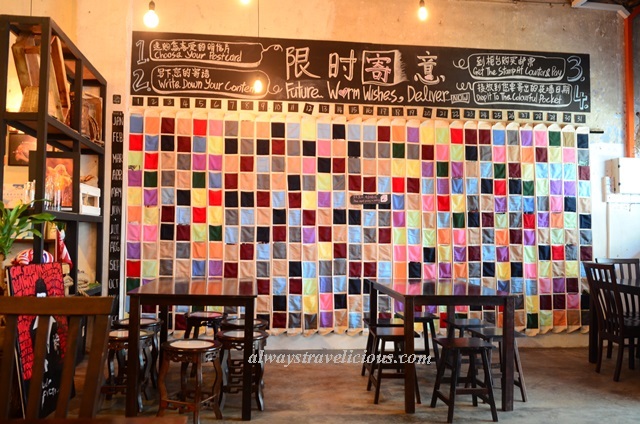 The café also has a unique service where they help you to send a postcard on a future date – all you need to do is slot in the postcard in the multicolored collage made of 365 pieces of pockets with each pocket representing a specific date. Expect Rm 10 – RM 25 per person for one food and one drink. Address : No 8., Jalan Koo Chong Kong, Ipoh, Perak. Opening Hours : 12 pm – 10 pm. Closed on Thursdays. 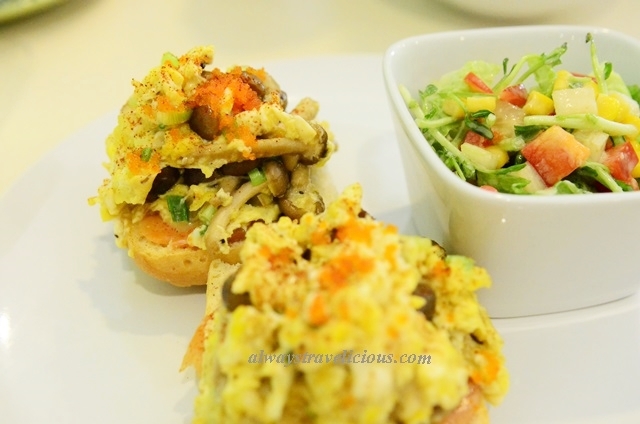 The convivial Cafe de Flore serves mouth-watering Hakka cuisine in a homey ambiance. Set in a single storey bungalow, the glittering porch definitely looks like the place to chill over a cuppa. 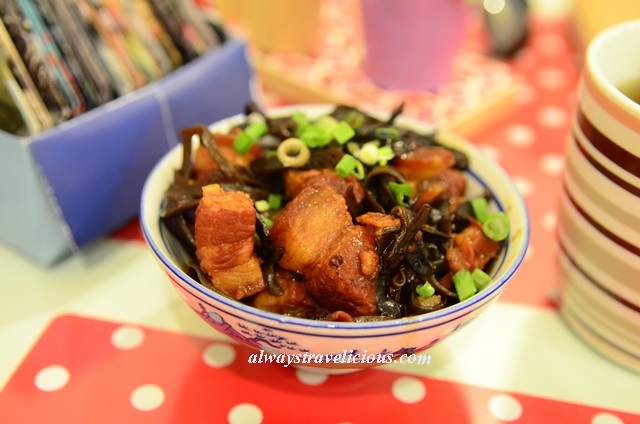 The braised pork here is cooked with seaweed, adding a gooey texture and a flavor from the sea. The floral tea has a delectable mix of flowers with the lavender being the dominant flavor, while the rossell tea brings back memories of Cameron Highlands as it is commonly seen there and often pickled. 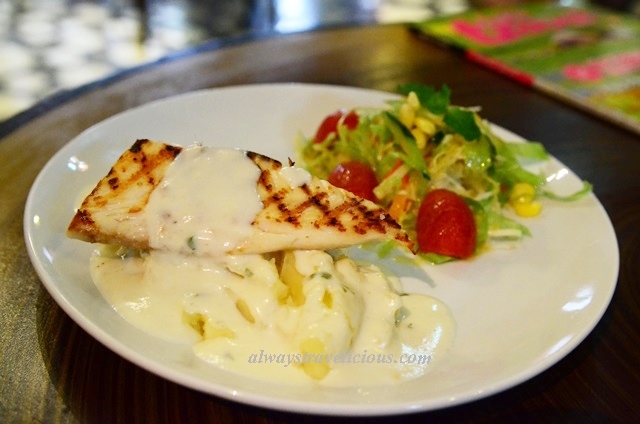 Expect Rm 15 – RM 25 per person for one food and one drink. 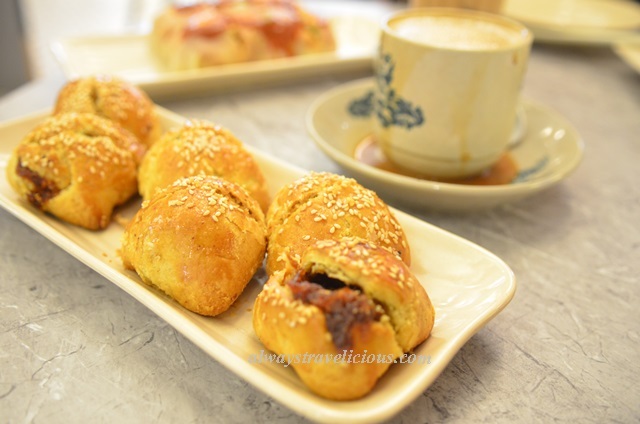 Chang Jiang White Coffee Cafe brings us back to the olden days. 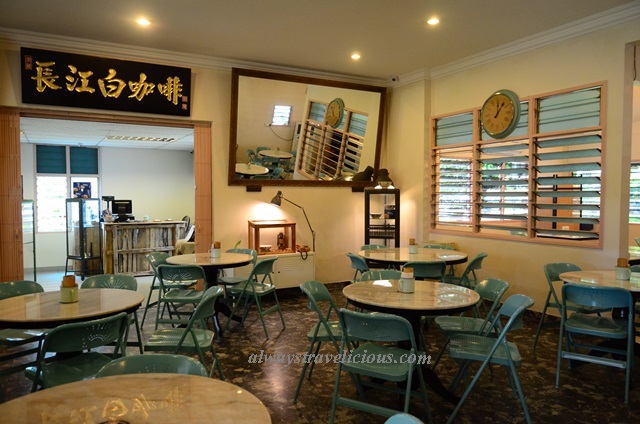 Marbled table tops, giant mirrors and old fashioned windows reminisce the typical kopitiam, but at the same time, the cafe is demurely fashionable with Tiffany blue chairs and pink window frames. The signature wantan noodles are simple, yet with the variety and the abundance of toppings used, the noodles are instantly transformed into a feast. The white coffee – especially the “kosong” ones have a powerful charred scent with a subtle herbal flavour. Expect RM 10 – RM 15 per person for one food and one drink. Business hour: Daily 9a.m. – 6p.m. 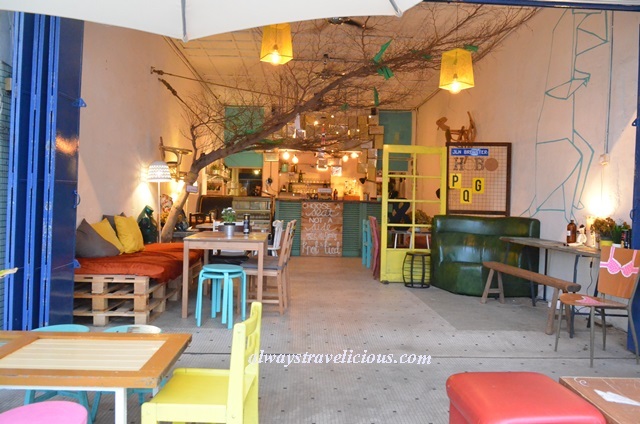 Chokodok Reggae House Cafe & Backpackers is an eye catching piece located on Hugh Low Street with a chillaxing atmosphere that reminds me of eclectic bars by the beach. The facade is painted with representative reggae colors of green, yellow and red. 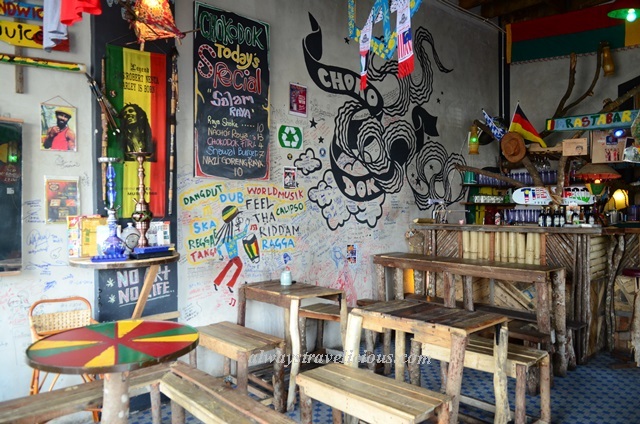 The color combination is also found inside the cafe with images of the late, phenomenal Reggae singer Bob Marley. 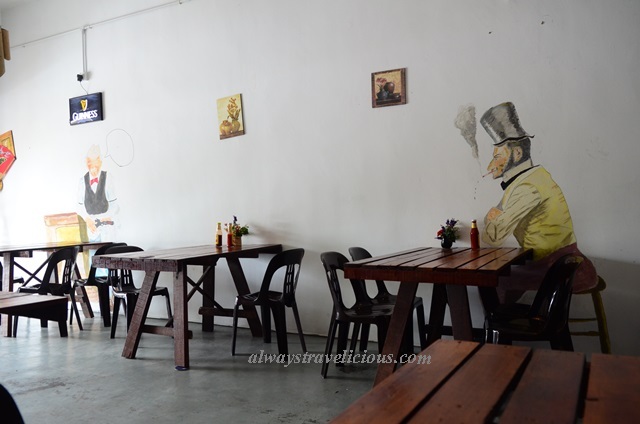 Chokodok serves a mix of Malaysian and Western cuisines like nasi goreng, nasi kampung, burgers and chicken chop that are fairly reasonably priced. Expect RM 15 – RM 25 per person for one food and one drink. Address : Jalan Sultan Iskandar, Taman Jubilee, 30000 Ipoh, Perak, Malaysia. Opening Hours : Daily 5.30 pm to 12 am. There are no big sign boards on this low profile halal café. The only things that indicate it’s a food joint are the blue tents outside and amazingly it has unconventional peak hours from 5 pm to 7 pm because of jaw-droppingly-priced set meals from RM 5.50 to RM 6.50 (limited to 50 pax). The café has an antique vibe to it with all things old while the large chalkboard is free for all to write a comment on. Food is prepared beforehand so it doesn’t come sizzling hot, but considering the price and the portion, that’s acceptable. Expect RM 10 – RM 15 per person for one food and one drink. “Tag” seems to be inevitable in our lives. As if it’s presence is not enough in social media, “#” has a role to play in coffee as well. Coffee Tag’s humongous # sign and a high contrast black & yellow façade definitely draws the young crowd. 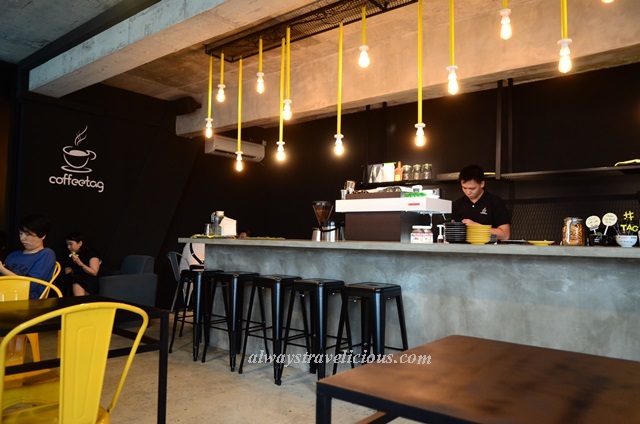 Other than the typical latte and capuccino, this light industrial-chic café with lofty ceilings serves adventurous coffee concoctions like durian and Nutella coffee, along with light meals and simple pastries. 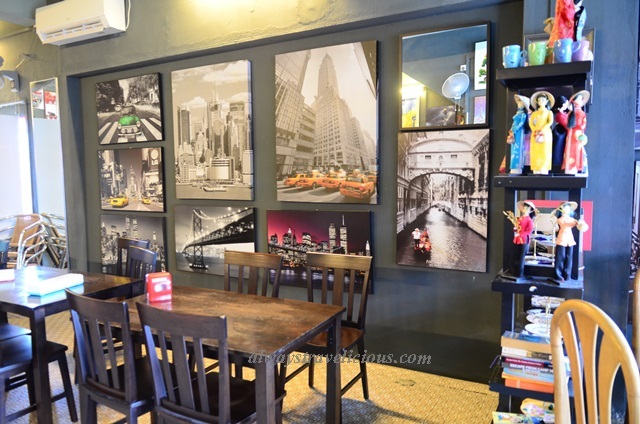 Coffeeright Place is a quaint little cafe that’s spicing up Jalan Kampar with the skylines of New York – presented in black and white while highlighting some of the buildings in brilliant colors making them lively and lego-like. 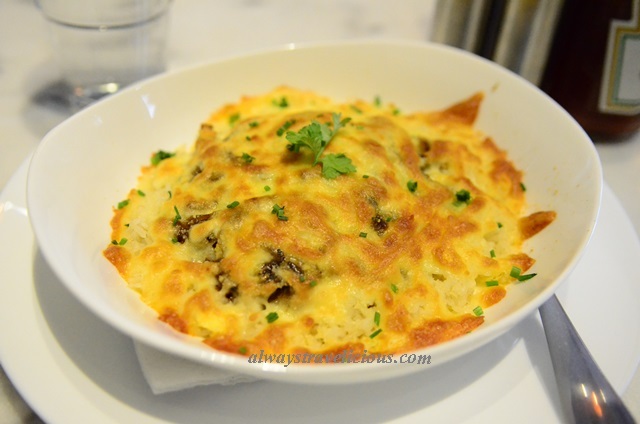 The black pepper baked rice is heavenly where a lavish topping of melted cheese forms a luscious golden blanket, covering an extremely peppery piece of pork and caramelized onions on a bed of fried rice . 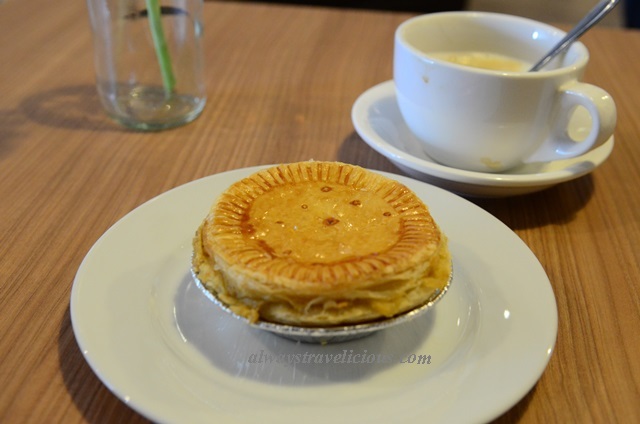 Price-wise, it’s quite similar to boutique cafes in Ipoh in general, meaning it’s quite pricey – but, the portion provided is substantial for a complete meal without ordering a dessert. Expect RM 15 – RM 30 per person for one food and one drink. Address : 35 Jalan Kampar, 30250 Ipoh, Perak. Opening Hours : Daily 9.30 am – 9.30 pm. 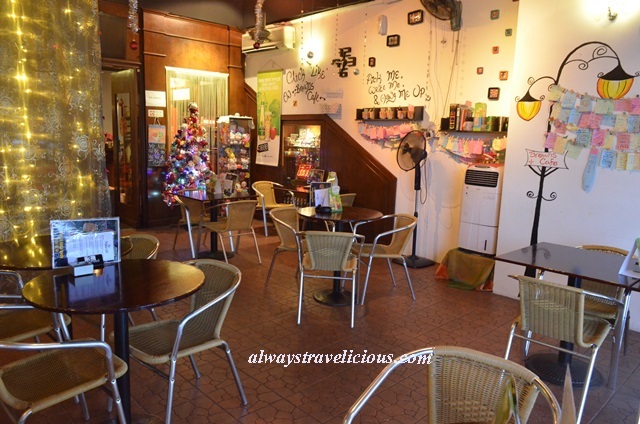 D Espresso Cafe is quite a low profile cafe located in Station 18. It has a plain facade with a simple blue signboard but once you enter the cafe, it’s eclectic with nostalgia, DIY and personal touches. The cooking style is rather homey, evident with the minimal use of oil and salt; and food is cooked fresh as per order. The café has a few interesting items like pork lasagna and bloody duck (?!) but they were sold out on the day of my visit. I did get to try the fish with enticing crisscrossed grill-marks that could do with a drizzle of lemon. 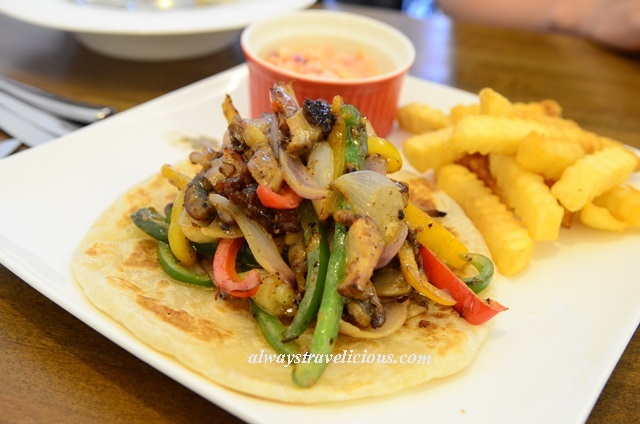 Expect RM 15 – RM 25 per person for one food and one drink. More Info : Non Halal. Address : 102 Pengkalan Barat 32, Ipoh, Perak (Station 18). Opening Hours : 12 pm – 8pm. Closed on Wednesdays. 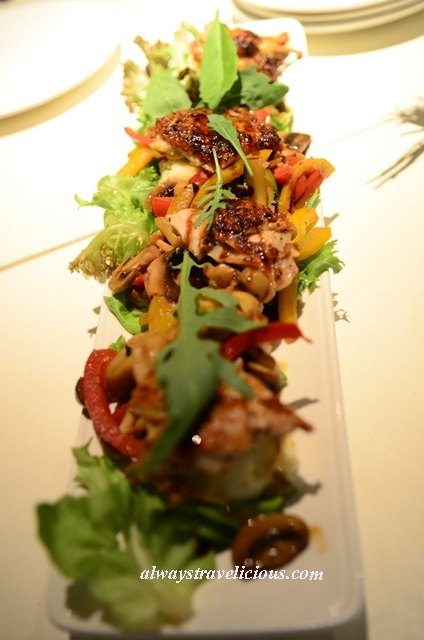 D Fusion Café is one of the rare ones with the incorporation of Japanese cuisine on top of the typical Western cuisine. The Japanese dishes include curry rice, ramen, snacks and teppanyaki, at an uber affordable price too. 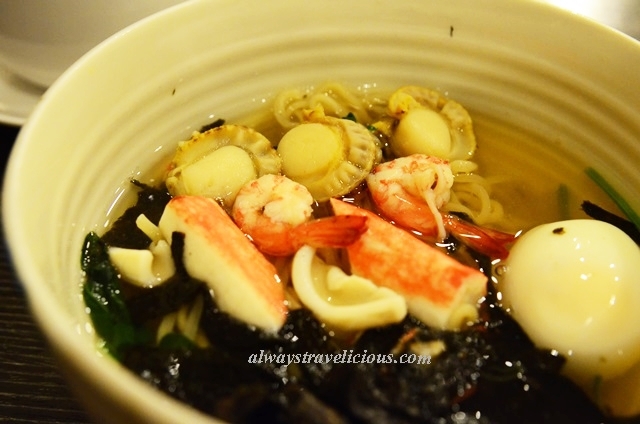 Seafood ramen has a copious amount of seafood including scallops and only at RM 11.90. It is presented with an amusing amount of seaweed, possibly the biggest bunch of seaweed I have ever seen. 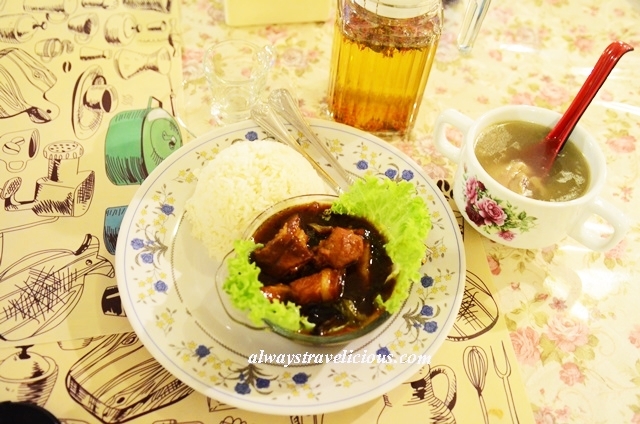 Expect RM 15 – RM 20 per person for one food and one drink. De Casalingo is located almost in Ipoh, on the way to the Simpang Pulai toll. 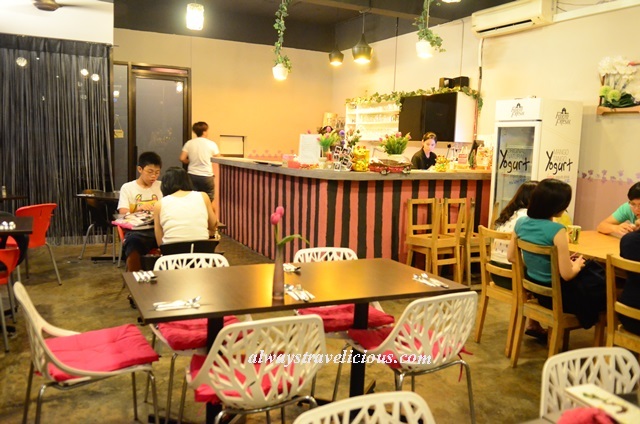 The sweet café in pink is another super affordable one with a good range of Asian and Western food to choose from. 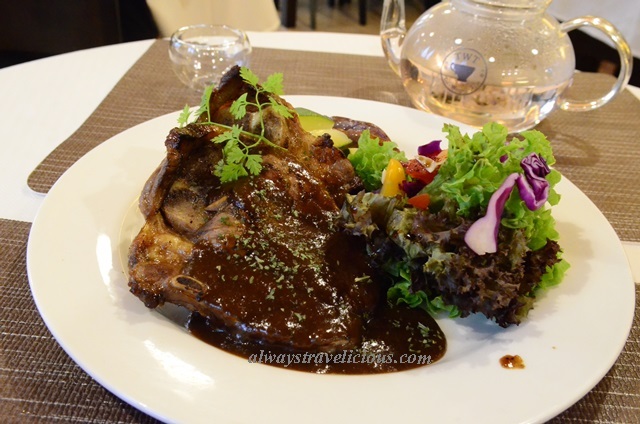 The pork chops are pan-fried with a drizzle of red wine sauce – one of the easiest things to make but somehow rarely seen on the menu in Ipoh. Beer is available here as well. Expect RM 10 – 20 per person for one drink and one food. De Dine may seem like your usual café in Ipoh, but it’s signature dish the De Dine Pasta is one of the best pastas I’ve tried in Ipoh. 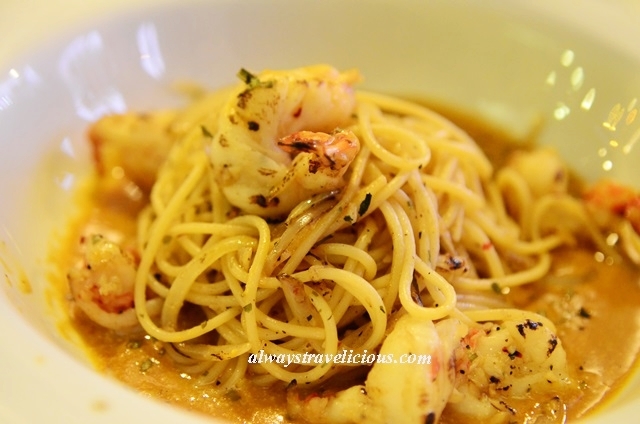 The prawns are lightly chargrilled to perfection and tossed with spaghetti in a heavenly prawn bisque. That charred flavor has also infused into the spaghetti and with onions as aromatics, an intoxicating flavor is born. Other dishes here are well executed too. An addictive one is the mashed potato, so smooth and buttery my brains tell me to not eat too much of carbohydrates, but my hands and mouth just ignored the advice. Expect RM 15 – 25 per person for one drink and one food. Opening Hours : 11 am – 3 pm. 5 pm – 10 pm. Closed on Mondays. 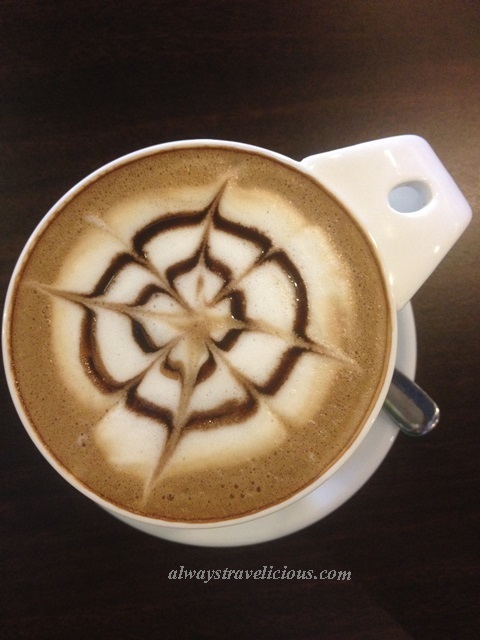 The grey palette creates a relaxed and easy-going atmosphere at Ficca’s Café where coffee aficionados can enjoy a cuppa from a vast range of coffee, whether it’s the balancing coffee, liqueur coffee, single origin coffee or Turkish coffee. The balancing coffee is quite a spectacle where the nifty combination of technology and sleek design keep the drinkers enthralled . Selection on food is limited at the moment. 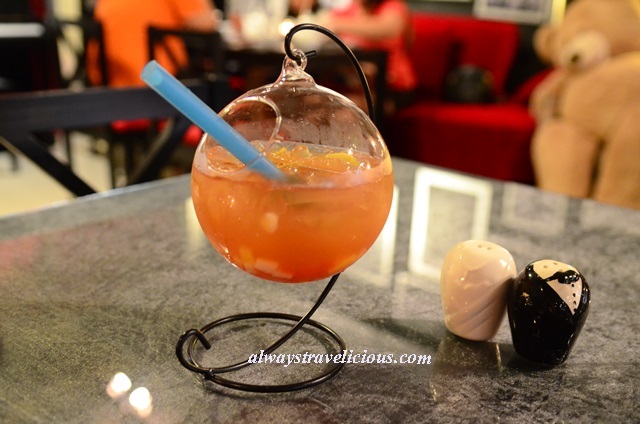 Expect RM 15 – 25 per person for one drink and one food. If you are looking for a little oink oink, Food & Desire would be the place to go. On top of that, it serves some out-of-the-norm creations on top of the typical cafe menu we see in Ipoh, such as porky fries, cereal killer and chocolate fondue to name a few. The Middle Eastern inspired “magic carpet” is enticing with sweet capsicum and chicken medley that sit atop a piece of carpet paratha, accompanied with a strong charred scent. End the meal with gourmet Kapiti ice cream from New Zealand. Expect RM 30 – RM 45 per person for one food and one drink. Opening Hours : 12 pm – 9 pm. At Foods Project Café, pallets and random wood pieces are put to good use where a clock is hidden amongst wooden squares, while both a swing and a monkey hang from the wooden tree. Cuisine served here is Malay and Western. 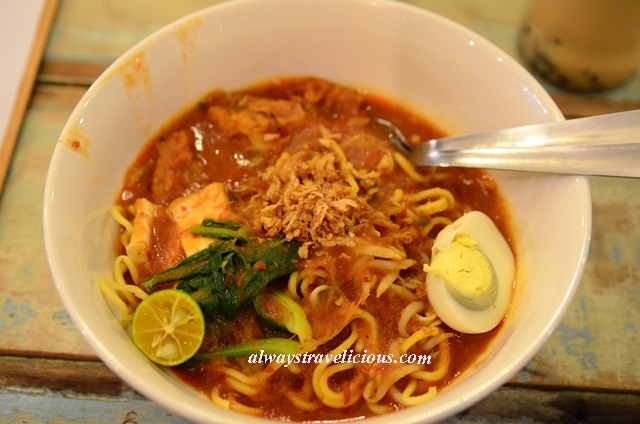 Try the tantalizing mee rebus made by the owner’s mother. 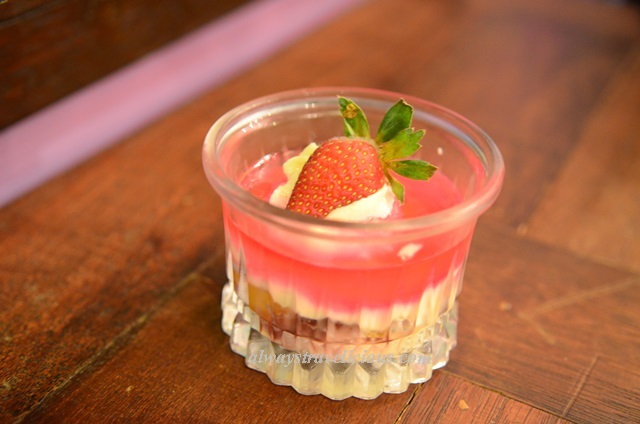 Other desserts that looked interesting on the menu include Pavlova, batik cake and diam slice. 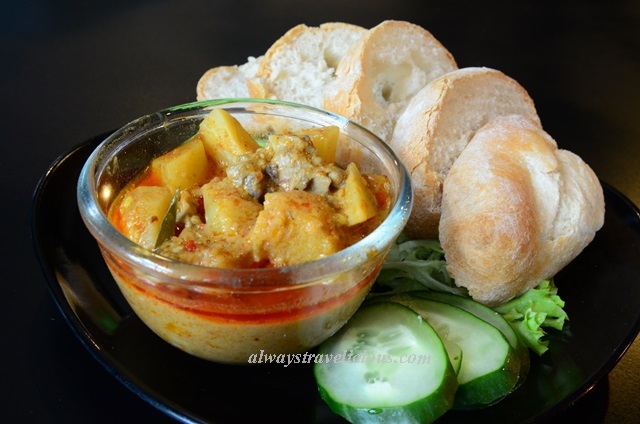 Expect RM 15 – RM 20 per person for one food and one drink. Green Hill Café has one of the most affordable breakfast sets in town. 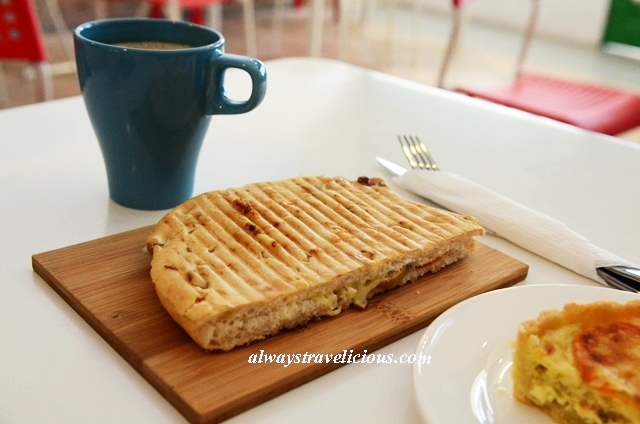 The variety of panini sandwiches includes tuna, chicken ham + cheese and egg +avocado, etc, and with a black coffee, most of the sets are just under RM 10. The panini bread is different from the ones I’ve tried; it’s bigger but thinner, so it has an extra crunch when toasted. The smoked salmon quiche is delectable with a hint of herbs and a smoky flavour infused throughout the quiche. 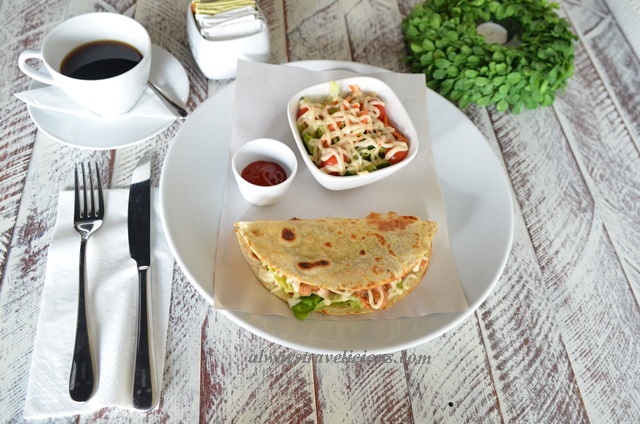 Expect RM 10 – RM 15 per person for one food and one drink. Address: Persiaran Green Hill, Ipoh, Perak. 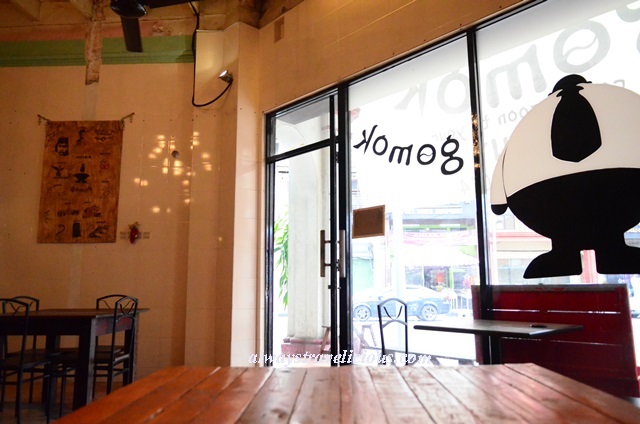 The little round chubby guy with a tie is Gomok’s mascot – perhaps hinting that the food is so good we will become “gemuk” (fat) after eating at Gomok. The food here consists of Malay and Western cuisine in substantial portions with some carnivorous selections. My basket of protein-heavy assorted meats is a sumptuous feast and did I mention some of the meats have cheese embedded within too? The dude sitting at the next table chowing down the giant 200 g beef burger looks totally indulged. Expect RM 15 – RM 40 per person for one food and one drink. Opening Hours : 5.30 pm – 1 am. Hobo @ Ganlee & Co definitely belongs to the category of cafes that will instantly start an instagram craze the moment you enter – an origami inspired 2d dinosaur on the wall and a Pinocchiao in hiding are a few things for example. Old cookie tins, salvaged doors and even a dead tree (an artistic one) have been given a new life here. Waffles, pancakes, French toasts and of course coffee dominate the café. I enjoyed the exhilarating cold brew, the mint hot chocolate, while the waffle still has room for improvement. Expect RM 15 – RM 25 per person for one food and one drink. Opening Hours : 6 pm – 1 am. 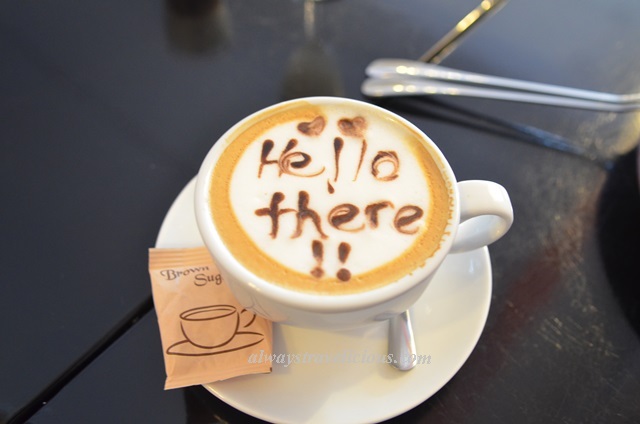 Ever thought of having a go at coffee art? You can do that now at Ketps Café as the café is the only place in Ipoh where you can use coffee as canvas and paint with melted chocolate. 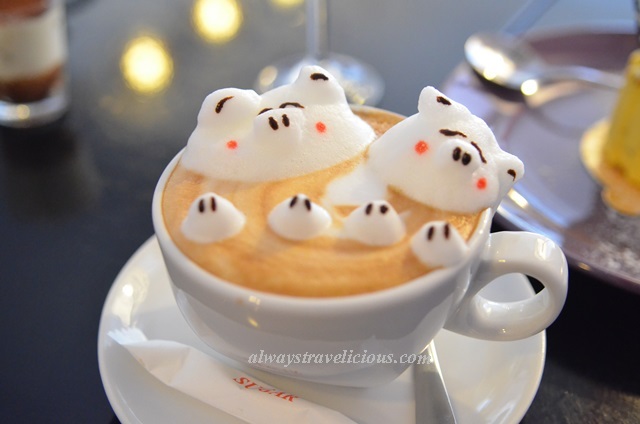 The 3D coffees here say hello in the form of piggies and hippos. They will sure make a lot of girls fall in love with the bubbly, foamy characters. The desserts are pretty-looking with adventurous combinations like peanuts plus mangos, but perhaps too adventurous for me I still prefer the classics. 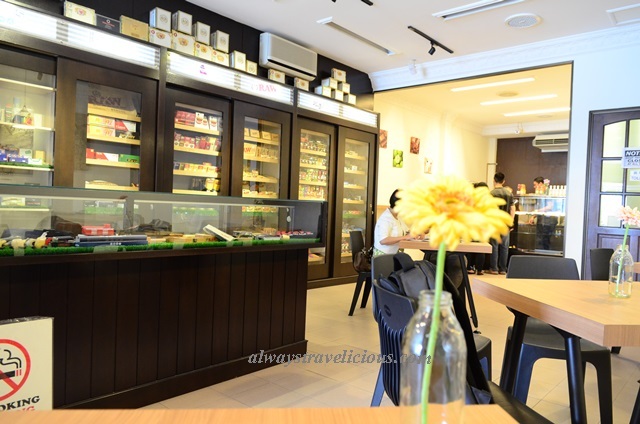 The cafe has almost a 100 % emphasis on desserts and coffee so it’s suitable for tea time. Expect RM 20 – RM25 per person for one food and one drink. Address : No. 22-22a, Jalan Medan Ipoh 4, Bandar Baru Medan Ipoh, Ipoh 31400, Perak, Malaysia. Opening Hours : Mon – Thurs 3pm – 12 am. Fri, Sat 1pm – 1am. Sun 1pm – 11 pm. 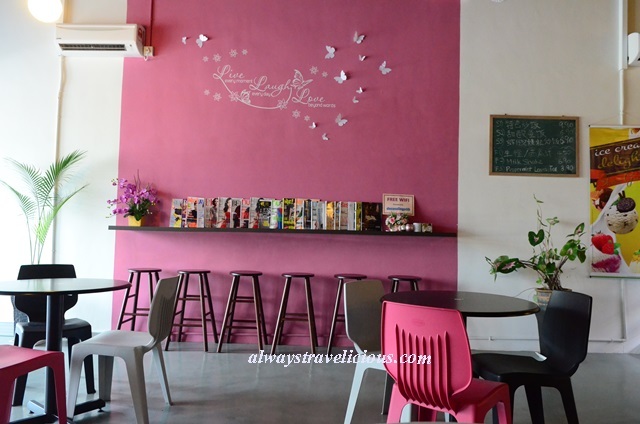 LC n LY cafe is not located in your usual prime areas in Ipoh like old town, but in the Falim industrial area on the way to Menglembu. Thanks to that, the food here is decently priced and nett-priced. 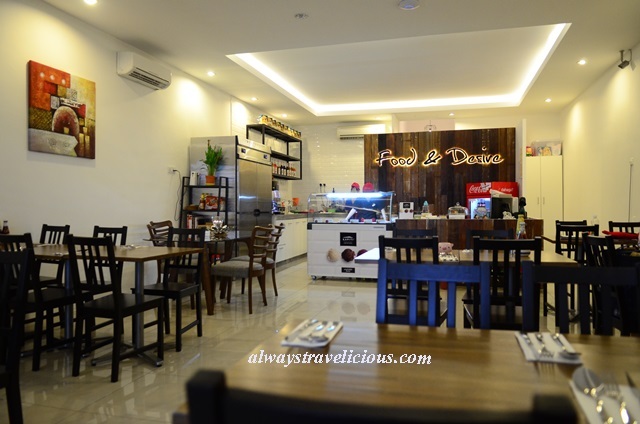 The menu consists of a good selection of local and western food with premium items like cod fish; it’s the typical kind of Ipoh cafe menus before the advent of boutique cafes. The café is in energetic green with unique mirror menu written in pink ink, at last, something different from a chalk board menu! The coffee served here is a sizeable portion and liquor-laced coffee options are available. 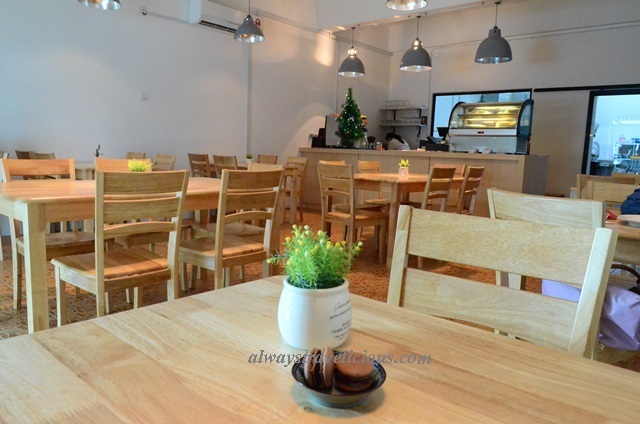 Expect RM 20 – RM70 per person for one food and one drink. Address : 15 Persiaran Menglembu Suria, Pusat Perniagaan Mengleumbu Suria, 30200 Ipoh, Perak. Opening Hours : Closed on Wednesdays. Other days 11.45 am – 3pm, 5.30 pm – 10 pm. 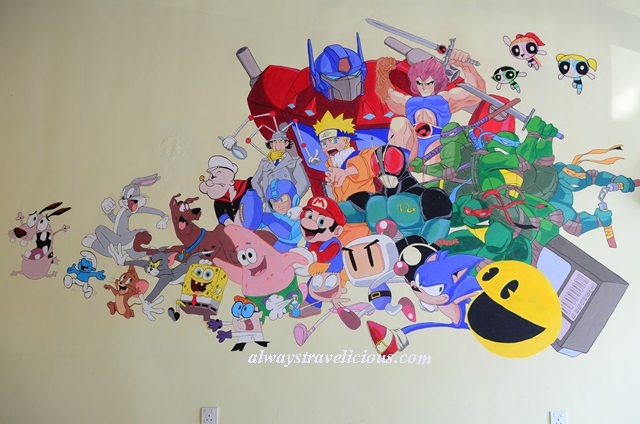 Memoirs Cafe is filled with cartoon characters; not Anna and Elsa from Frozen, or the minions from Despicable Me, but old-schooled characters like Popeye, Ninja Turtles, the Thunder Cats and Doraemon. While typical pasta and sandwiches are served here, the dessert portfolio is more interesting with chocolate lollipop, ice cream bun and Haggen Dazs ice cream. 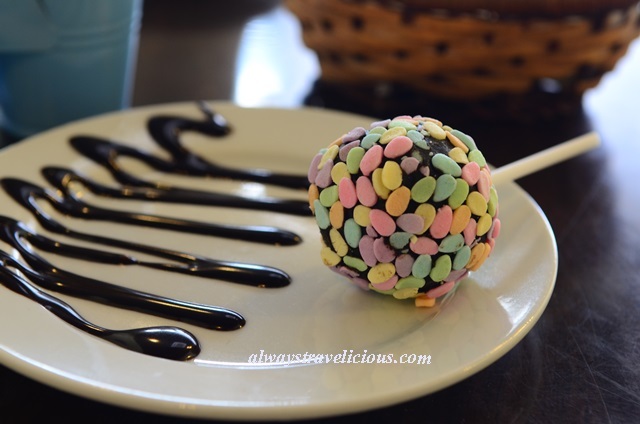 The chocolate lollipop is my favorite, delectably rich yet not overly sweet and so joyful with the colorful sprinkles. Expect RM 10 – RM25 per person for one food and one drink. Address : No 6, Jalan Medan Ipoh 1D, Medan Ipoh Bistari, 31400 Ipoh, Perak, Malaysia. 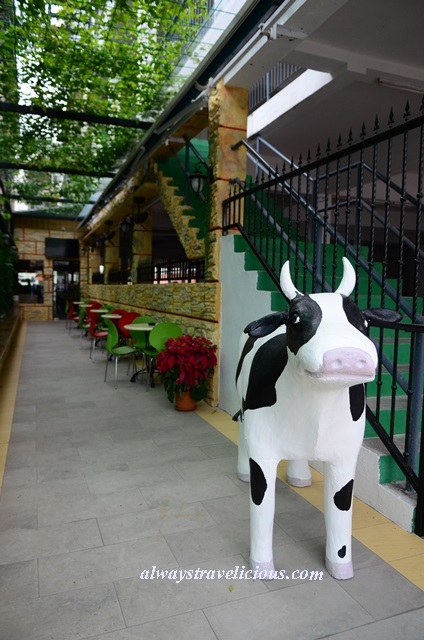 The cow statue in front of the café says it all. On top of serving café food, the Milk House Cafe serves fresh milk, delivered daily from the origin of production; fresh cow’s milk from farm in Sungai Siput and fresh goat’s milk from farm in Kelian. The super-narrow and cavernous café is probably the only café that caters to both halal and non halal requirements, strange but true. The halal items are prepared by Ritz Hotel just behind the café from 3 pm onwards, while the non-halal items are prepared by Euro House right next to the café. Expect RM 20 – RM 35 per person for one food and one drink. More Info: Halal & Non Halal. 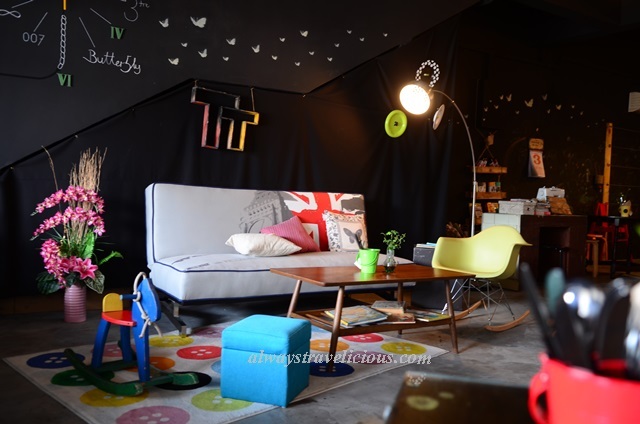 Address : 53A – 55A Jalan hussein , 30250 Ipoh, Perak. Morsel Eatery may seem a familiar sight as it is brought to you by the same group behind Myth and Jose & Deli, only that this concept is not entirely new because the interior is the marriage of the two existing places. 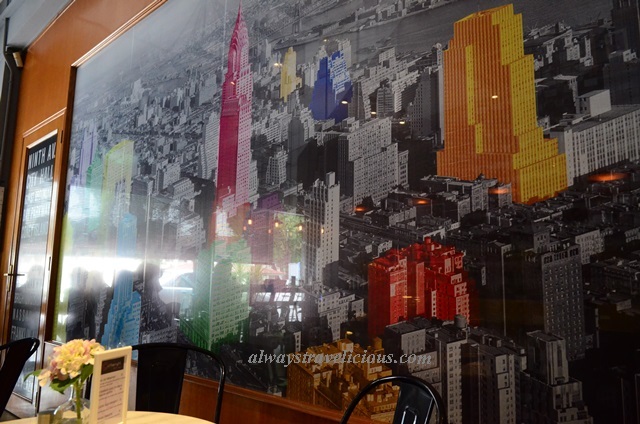 The food is generally well executed, but the stunning interior tends to outshine the food. Expect RM 25 – RM 50 per person for one food and one drink. 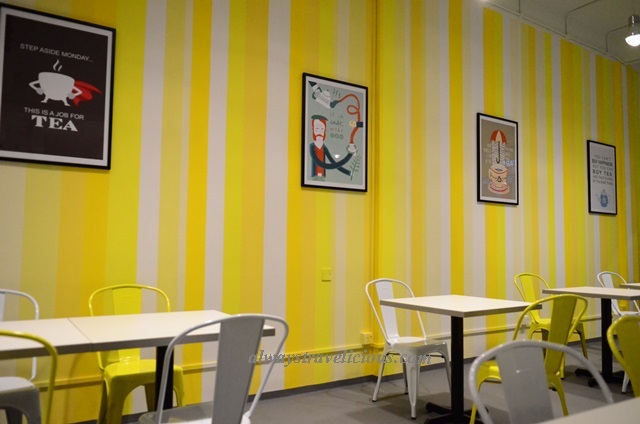 “Yellow” is an inevitable color at the Mustard Sandwich House Café. Popping blue, industrial grey and French doors make this café chic with modern simplicity. The cafe serves humorously-named sandwiches like “Cowboy Hotpants”, “French Kiss”, “Awesome Pig” and “Smoky Virgin”. Combined with red cabbage + alfalfa salad and Doritos, the meal is a fulfilling one. The French Kiss Sandwich by the way uses an interesting ingredient, the pig’s tongue. 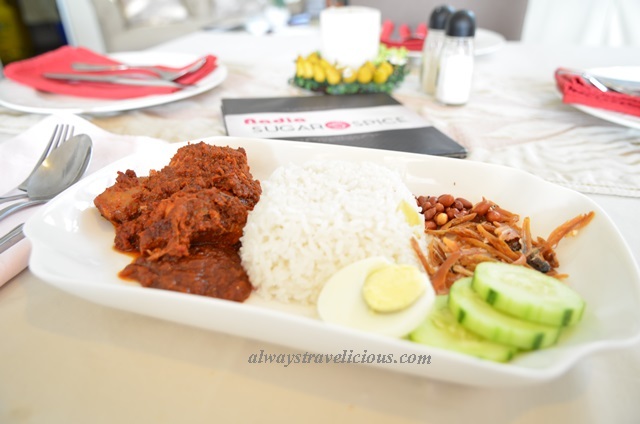 Expect RM 20 – RM 35 per person for one food and one drink. Whether you are Ipoh-mali or visiting Ipoh on a day trip, you don’t have to go all over town, looking for your favorite hawker food. 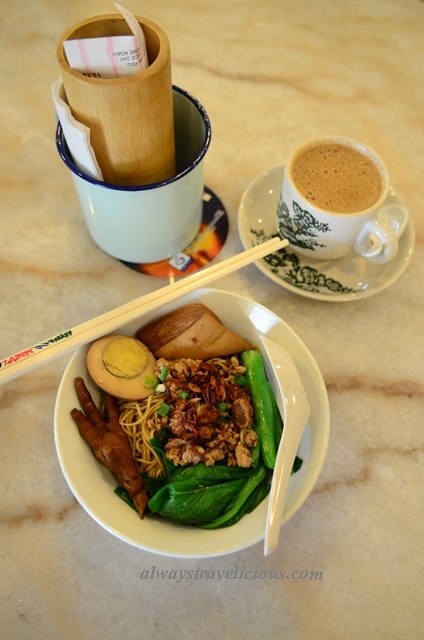 Eating hawker food has just gotten savvy, speedy and fashionable at Nam Heong food court . It houses popular hawker food stalls under one roof, including Stadium Stall 18 Fried Koay Teow, “Pak Kong” (White House) Chicken Rice, Dong Gu Teng curry noodles and of course the famous dim sum and white coffee from Nam Heong itself. Food served here is a tad more expensive than the original store, but that’s ok because speedy ordering with a tablet, sleek interior and air conditioning compensate for that. 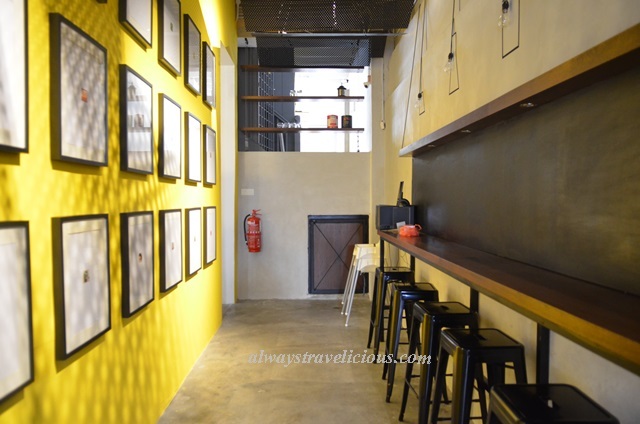 Expect RM 10 – RM 20 per person for one food and one drink. O Cafe has captured our hearts with its Hakka cuisine. Its signboard is strangely placed on the floor, so look out for the big “2” on the façade of the building if you are looking for the cafe. The cuisine is full of warmth and affection. The chicken rice wine mee sua is hearty with a generous splash of rice wine; the braised pork has an extra ingredient of wood ear fungus for an extra crunch, while we licked clean the vegetarian curry, including the gravy. 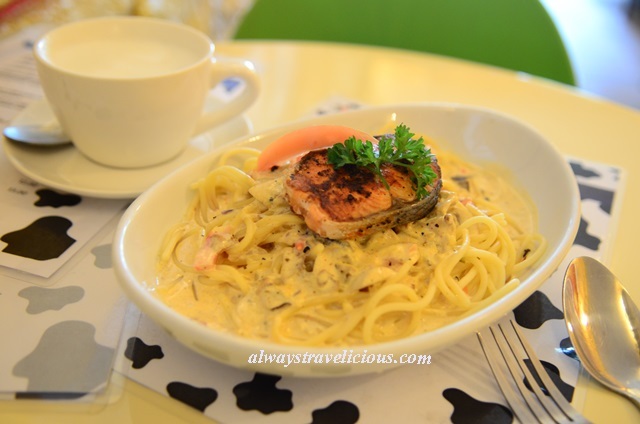 Expect RM 15 – RM25 per person for one food and one drink. Opening Hours : 11 am – 8 pm. 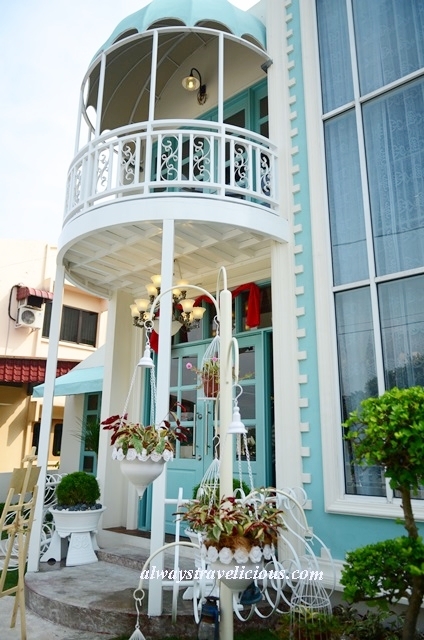 The gorgeous Petit Mary Patisserie has got to be Ipoh’s most beautiful pastry house with a European flair in the color combination of the clouds and the sky. The charming pastel colors just make you automatically unwind. The Mont Blanc would be my top recommendation which has an elegant flavor of creamy chestnut and adequately sweet. During my visit, the patisserie only had pastries and drinks available, but they should have rolled out a more extensive café menu by now. 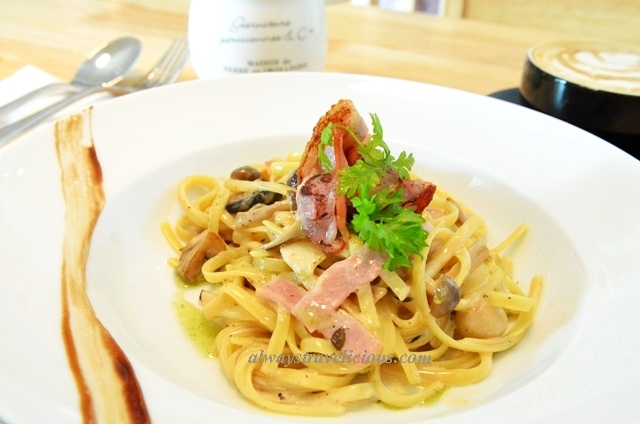 Expect RM 10 – RM25 per person for one food and one drink. 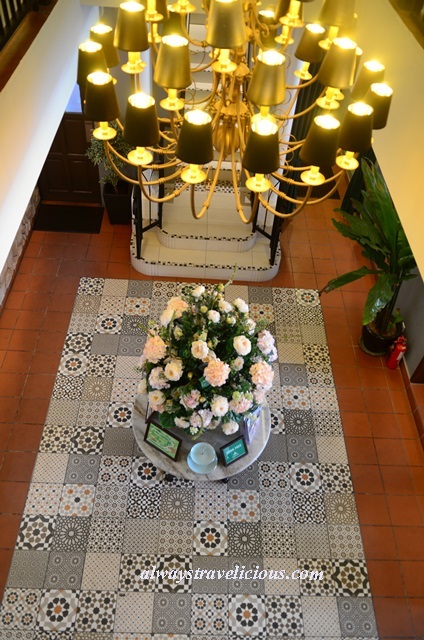 Romantic in white with red floor tiles and sweet floral motifs, blissfulness permeates the air at the Potpourri House Cafe that’s located behind Adonis Bridal House. 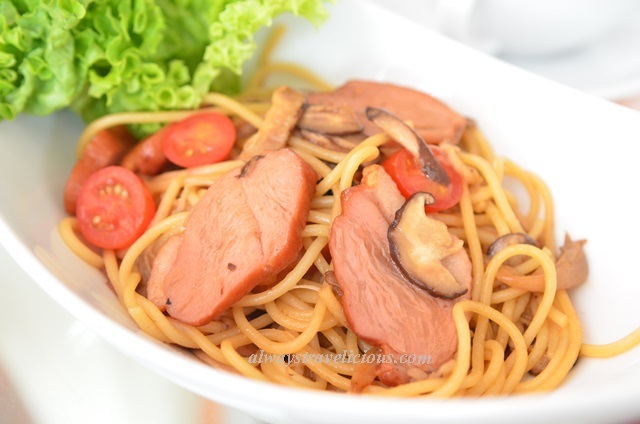 The smoked duck spaghetti is scrumptious with an all rounded smoky flavor, topped with shitake mushrooms and cherry tomatoes. 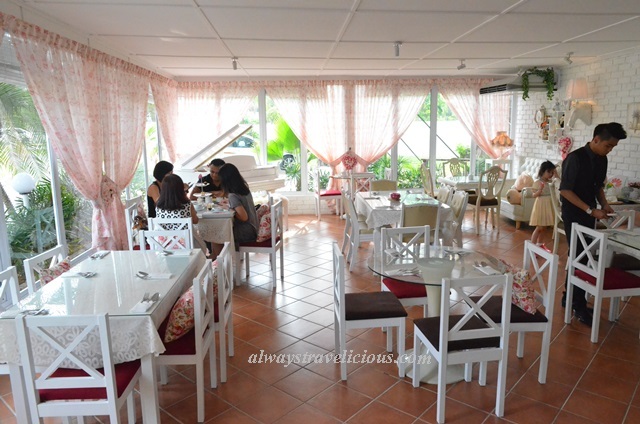 The café is also a cosy place for an afternoon high tea session. 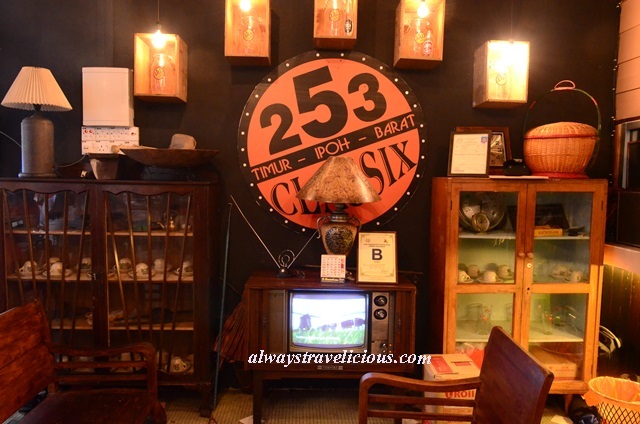 Expect RM 25 – RM70 per person for one food and one drink. Opening Hours : 11 am – 10.30, closed on Mondays, except public holidays. Pt Grande has a specialty here – the squid ink pasta, which is uncommon in Ipoh as I’ve only seen this in one other café. 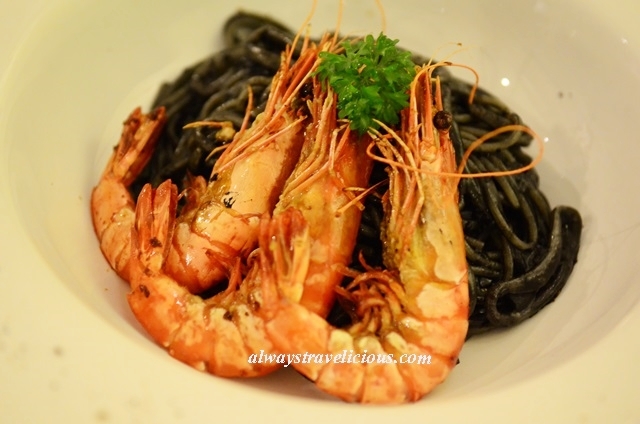 It’s visually appealing to start with, because there is the beautiful contrast of red prawns against a garlic-y, black spaghetti, and when you dig in, it tastes as good as it looks with bouncy prawns in crackling shells. The other items we’ve tried seemed average though. 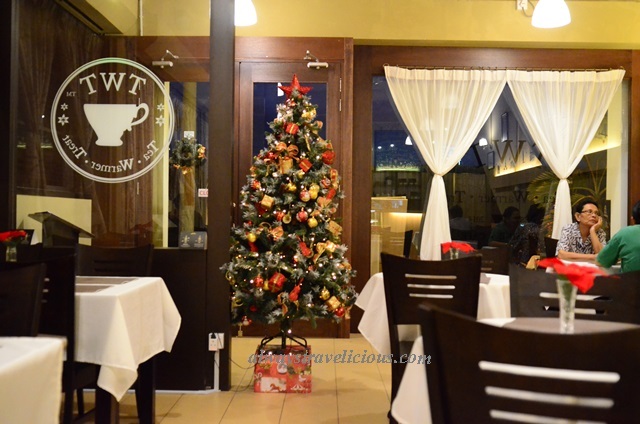 Expect RM 20 – RM25 per person for one food and one drink. Cigarettes and tobacco may be a common thing, but when it comes to artisan tobacco, Romeo Café has a range of fancifully packed tobacco which could be almost mistaken for chocolate. The café’s focus is on niche and not-your-usual-Malboro-or-Dunhill-tobacco, complemented by coffee and pastries . 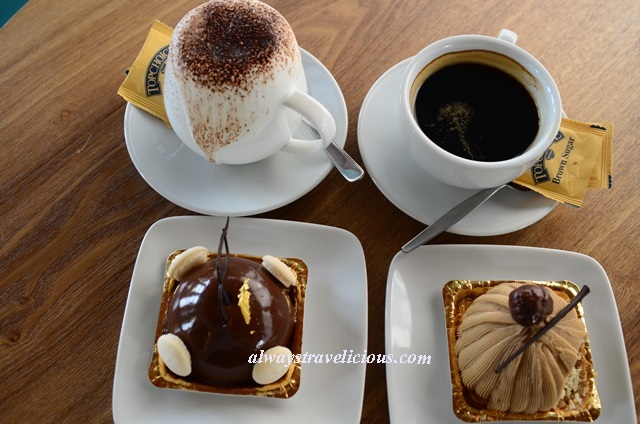 The coffees and pastries are just so-so, but then again, one drink and one food item only cost about RM 10 or less so I guess that makes it tolerable. It’s a good place for cigar and pipe enthusiasts but please do remember smoking is not good for health so do visit the cafe at your own discretion. Address : 123 Jalan Kampar, 30250 Ipoh, Perak. Opening Hours : Mon – Sat 10.30am to 7.30pm. Sun 12pm to 7pm. With Scenic Café’s wooden houses and wooden pavilions displayed prominently in the vast garden, there’s a kampong aura about it that would attract the curious cats. 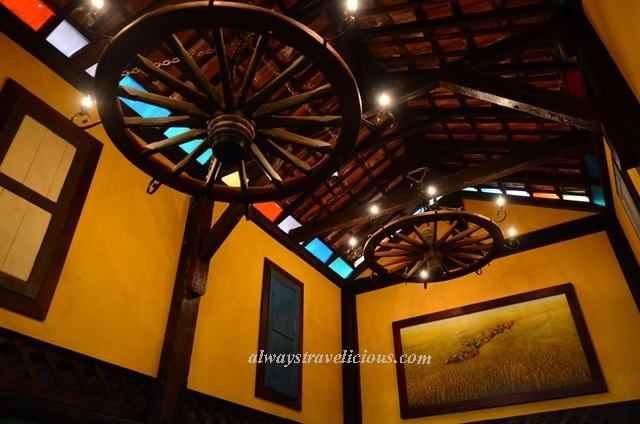 The vintage, rustic charm continues when you enter the café where old-fashioned colored glass, giant pushcart wheels, rattan ceilings and coconut lamps dominate the scene. 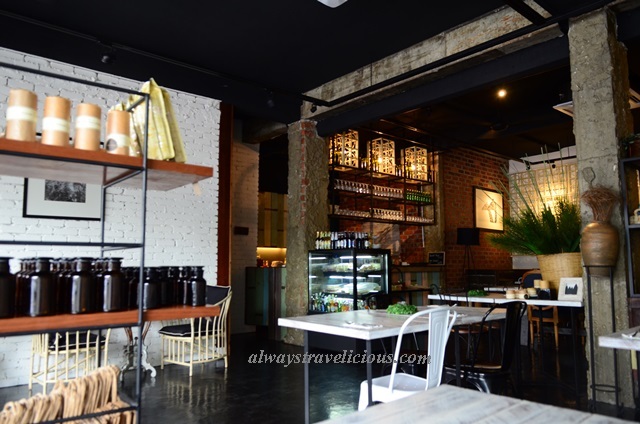 Cafe Scenic’s menu embraces the kampung ideology too with a mixture of Malaysian food like laksa, ayam percik with nasi kerabu, nasi gulai ikan kerapu , and western dishes such as pasta, steak and lamb shanks. Expect RM 30 – RM 75 per person for one food and one drink. Opening Hours : 11 am – 10.30 pm. Closed on Wednesdays. Many cafes in Old Town have opted for the vintage look, the shabbier the better. STG Boutique Café has done just the opposite, refurbishing a colonial building to its former glory, yet remaining contemporary and chic. The pesticide-free Sabah tea here has been reconfigurated in many ways so you can drink it as original, fruity, spiced and more. The yummylicious rack of lamb is at its supremacy when dabbed with the rosemary sauce. 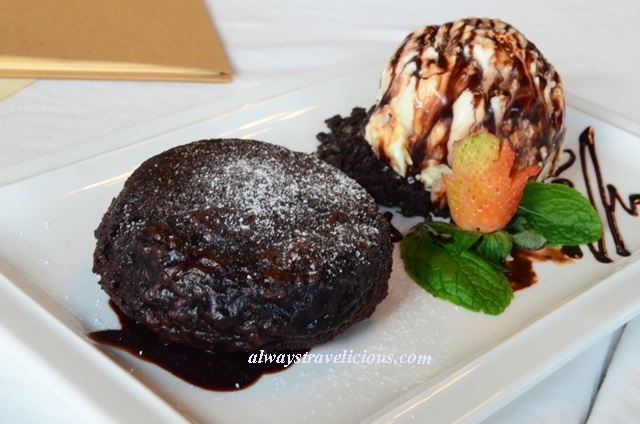 The Kahlua-laced tiramisu could possible be one of the best in town and the oozing lava cake is simply irresistible. Expect RM 30 – RM 75 per person for one food and one drink. With a myriad selections of tea – be it oolong tea, white tea, red tea, green tea, organic tea, Tea & Tattle will not disappoint tea connosiuers. The teas are not only served in sophisticated teaware but also come with a dainty sand timer that indicates how much time you must endure before you can take in a sip of warmth. There’s a little something for everyone, whether you are looking to eat a hearty meal with chicken gumbo or just a quick bite of sandwich or nachos. . Expect RM 20 – RM 45 per person for one food and one drink. Address : G-R-17 & G-R-18A, De Garden, No.3, Persiaran Medan Ipoh, Medan Ipoh, Ipoh, Perak. Openign Hours : Mon – Thu 8 am – 11 pm. Fri – Sun 8 am – 12 am. There’s no kidding about the “calorie reckoner” part because all the sandwiches here are calculated and indicated with the values of calories, carbohydrates, fats, and proteins. Simply pick the sandwich with the lowest calories and fats if you are on a diet. 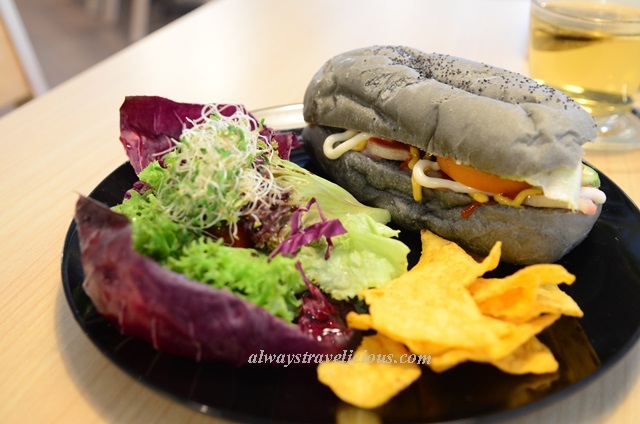 The sandwiches here are made of whole wheat bread with mostly basic fillings such as eggs, teriyaki chicken and prawns. The uncommon snow crab sandwich and the hearty pumpkin soup are two noteworthy dishes to try. Expect RM 10 – RM 15 per person for one food and one drink. Address : 9 Jalan Medan Ipoh 1E, Bandar Baru Medan Ipoh, 31400 Perak, Malaysia. Opening Hours : 10 am – 6 pm. 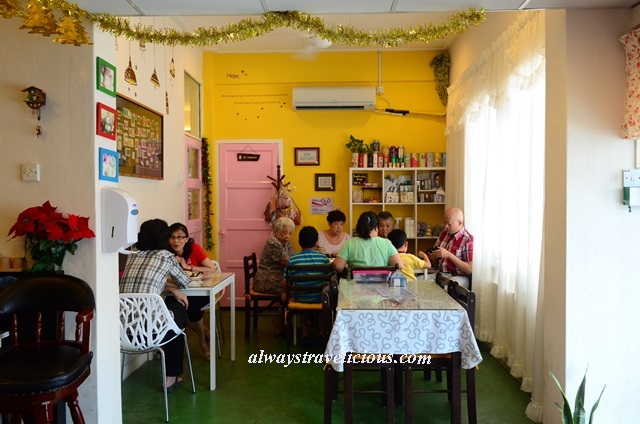 Tittle Tattle Houz Café is playful and whimsical with Scrabble tiles, music-sheets-covered aircon, heart-shaped comic strips and butterflies in flight. Food is served in cute enamelwares here and using uncommon ingredients too, like the guacamole on rice cracker for example. The ice coffee here also thoughtfully which makes use of unmeltable ice cubes to not dilute the coffee. Expect Rm 10 – RM 25 per person for one food and one drink. Address : 17, Jalan Medan Ipoh 3, Bandar Baru Medan, Ipoh, Perak, Malaysia. Opening Hours : 11 am – 5 pm. Closed on Mondays. 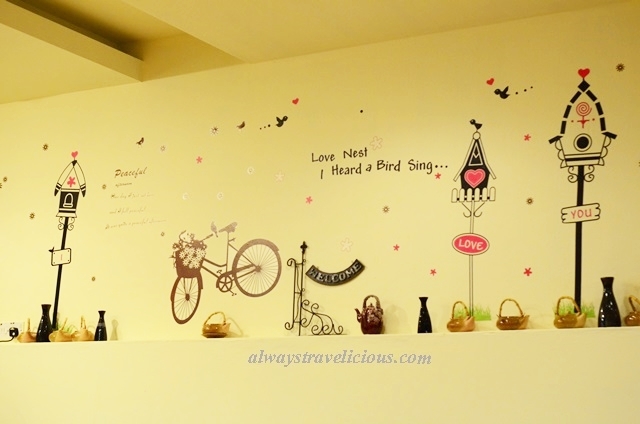 TWT stands for “Tea, Warmer, Treat” and as you have guessed it, it’s a cafe to go to for meals and tea ! 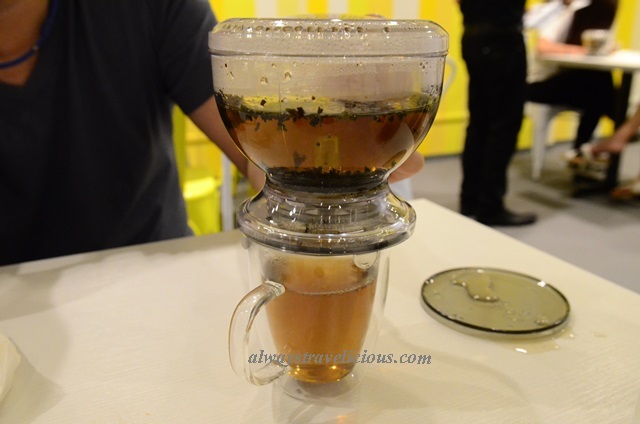 The teas here are uncomplicated, mostly having just one component or a blend of two. I’ve only tried the “Goat Things” here, which is lamb shoulder and it is satisfactory with no faults. The zaru soba which is a fusion of Japanese and Western doesn’t look too bad maybe I’ll try that one next time. 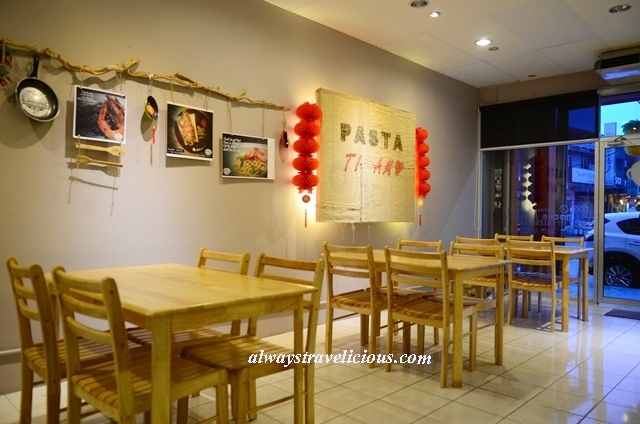 Address : 30 Jalan Medan Ipoh 1D, Medan Ipoh Bistari, Ipoh, Perak, Malaysia. Opening Hours : 11.30 am – 10.30 pm. Closed on Mondays. The unique levitation pre-wedding photography is not the only thing that’s available at Valentino Bridal House. The glamourous bridal house in seductive red and opulent black also serves exquisite cuisine with contemporary plating. The two signature drinks “zero-gravity drink” and “fish bowl” would generate some good fun. If you happen to be doing a bridal shoot there, check out the café afterwards and not before or you might not be able to “levitate”! Expect Rm 30 – RM 50 per person for one food and one drink. The café is almost an hipster café with all the common elements– DIY concept, murals and bicycles though the elements could have been more refined. Having said that, the food is surprisingly good, both taste and presentation. 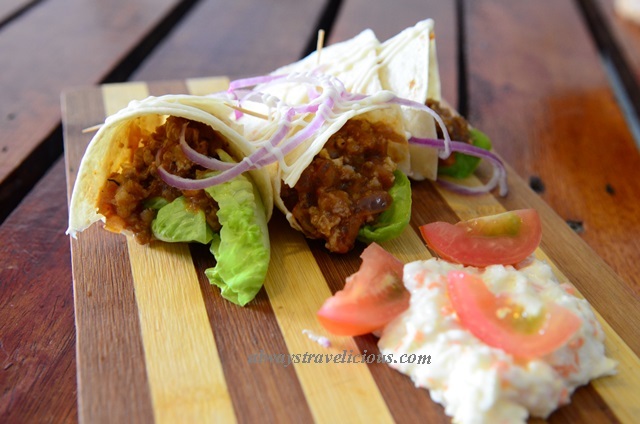 Try the mini tortillas that are presented conically, wrapping a spoonful of herbal chicken bolognese with a drizzle of mayonnaise topped with thinly-sliced raw onion. The café serves alcohol as well and probably turns into a bar at night and hence it has a bit of smoky scent – just in case you are not a big fan of smoke. 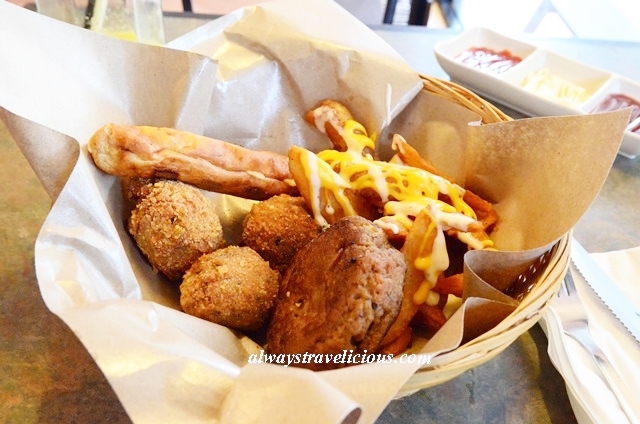 Expect Rm 10 – RM 20 per person for one food and one drink. Address : 51 Persiaran Bercham Selatan 17, Taman Bercham Jaya, Ipoh, Perak. Beacon Point has been operating in Ipoh for almost 20 years. It doesn’t look that old except that the vintage broadway posters and movie posters may have revealed its true age. 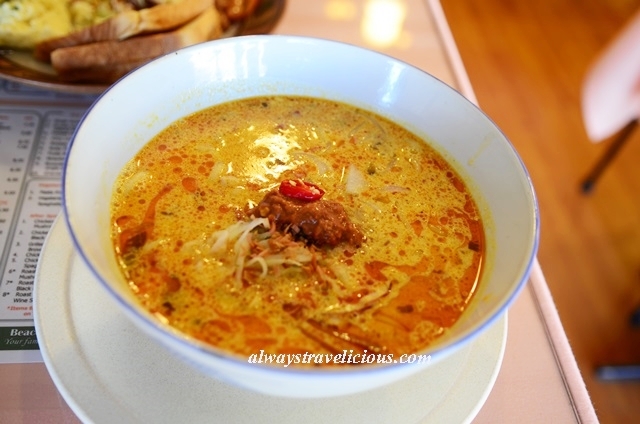 Signature dishes here include lemak laksa, chicken pie and roast beef. Going to Beacon Point for dinner is more than eating good food, it’s also about a taste of familiarity, perhaps even a flavor of childhood as you might have eaten at this place since you were young. . Expect Rm 15 – RM 35 per person for one food and one drink. 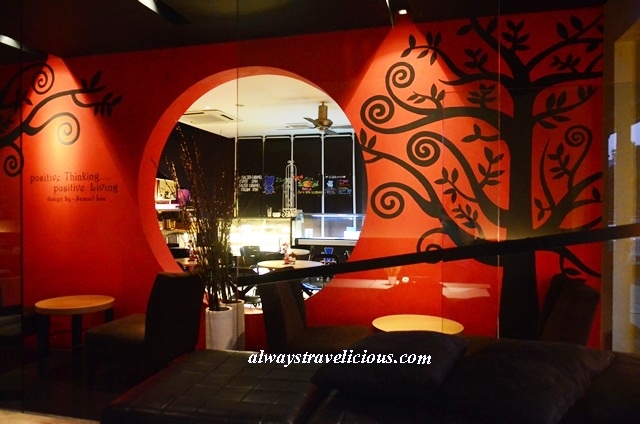 Browns Cafe is located in the clubbing strip of Ipoh Garden East and totally jives with the glittering night scene, while also maintaining a whimsical charm. 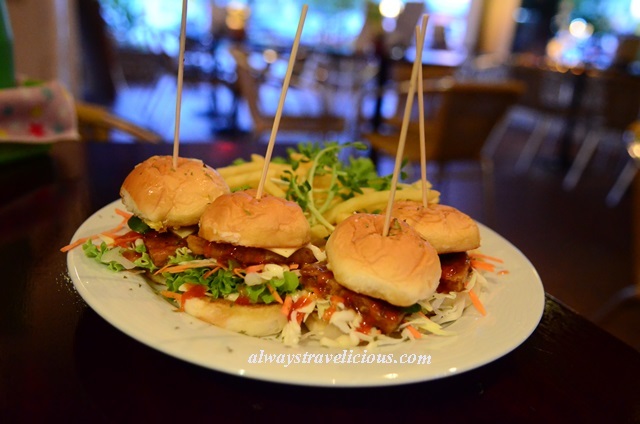 Browns Cafe’s food is detail oriented even for simple items, for example the mini burgers. Each half of the little buns are buttered, grilled, and each burger has shreds of carrots, cabbages and lettuce, topped with mayonnaise and barbecue sauce. The patty isn’t a gourmet one but at only RM 10.50, I could not ask for more after such a meticulous ensemble. Expect Rm 15 – RM 35 per person for one food and one drink. Address :38 Jalan Medan Ipoh 4, Bandar Baru Medan Ipoh, 31400 Ipoh, Perak. Friends Café always makes me think of the American TV Sitcom (I’ll be there for youuu ♫♪), and indeed the café was established in that era in 1999. 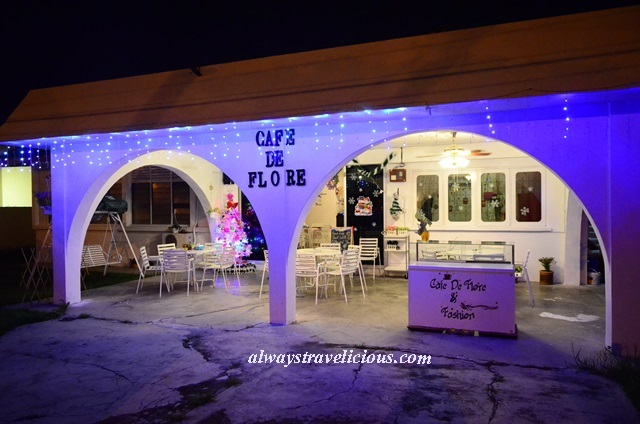 It’s a sizeable café serving a full range of local and Western food. The signature dish here is the forest mushroom chicken, which is a must try as the classic chicken chop is reimagined with many elements that complement each other. 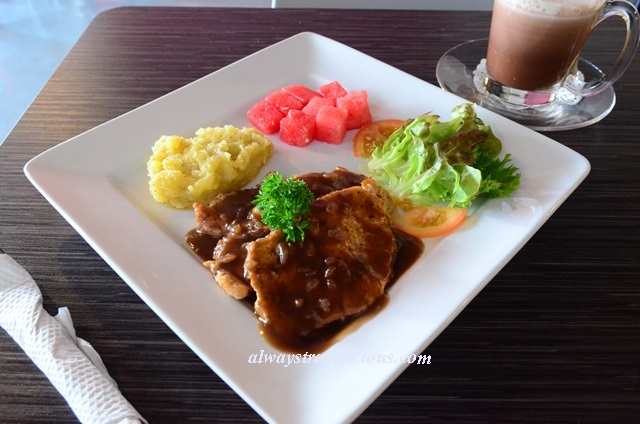 The chicken chop is pan-fried with both front and back thoroughly browned, cut into bite-size pieces and placed on top of mashed potato mounds. To create the forest effect, salad leaves and vegetable stir fry of capsicums+mushrooms ornate atop and complete the final ensemble. 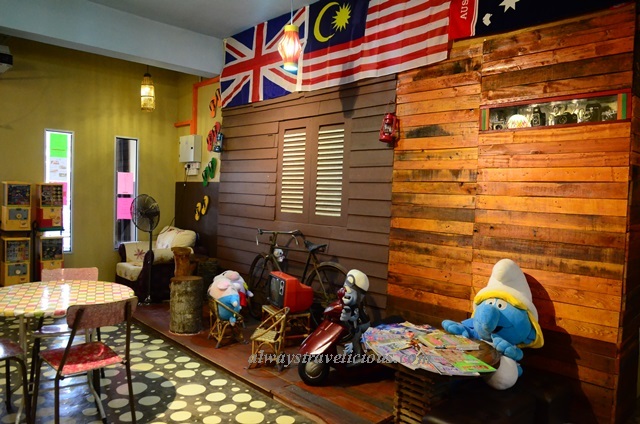 Expect Rm 15 – RM 60 per person for one food and one drink. Address: 28& 30, Jalan Medan Ipoh 4, Bandar Baru Medan Ipoh, 31400 Ipoh, Perak, Malaysia. Opening Hours : 6 pm till late. 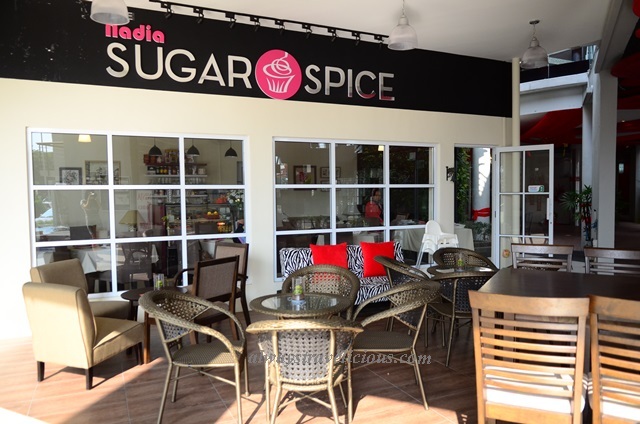 Nadia Sugar & Spice Café is a chic, halal café that oozes a subtle note of English elegance with a bright interior space, floral motifs, and neatly laid out tables. Most of the halal cafes in Ipoh tend to have some funk about them, while Nadia Sugar & Spice is a feminine one amongst them. I like the homely chicken rendang , where the rice had an energetic scent of lemak (coconut) accompanied with a fiery chicken rendang. Cuisine served includes both Malay and Western. Expect Rm 15 – RM 25 per person for one food and one drink. Opening Hours : 12 pm – 10 pm. The cafe is closed one day every week, though the closing day is still undecided at this point of writing. So call ahead before going. The lofty cake house is a popular one with its fluffy pastry, yummy cakes and creative fondant cakes made to order. The baby mouse in diapers is especially cute; the scone is moist and good on its own even without butter, and the happy nuts medley is awesome in sweet caramel sauce. The drinks though didn’t leave any particular impressions though. The Japanese-style mezzanine is quite a gem with its low tables, floral cushions and lots of manga, not to mention that the cake house suddenly seems so big when viewed from this angle. Expect RM 10 – RM15 per person for one food and one drink. Opening Hours : 8 am – 5 pm. Assumption is the mother of all scr*w ups – as in the case of this café because I’ve always assumed it’s a (dodgy?) bar until I visited it. It’s very worldly actually, decorated with posters of iconic places like New York, Paris, San Francisco and more. 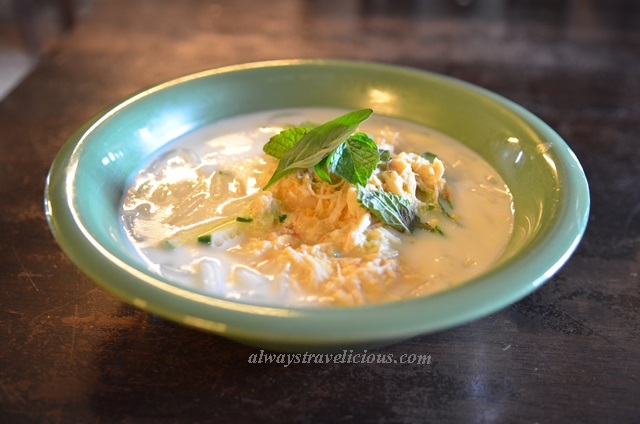 The signature dish is white laksa, a gentler version of the red Penang laksa, but still extremely flavorful in its own right with the use of onions, shredded cucumber, mint leaves and secret ingredients. Expect Rm 15 – RM 25 per person for one food and one drink. Tammy’s Kitchen could possibly be Ipoh’s best kept secret. 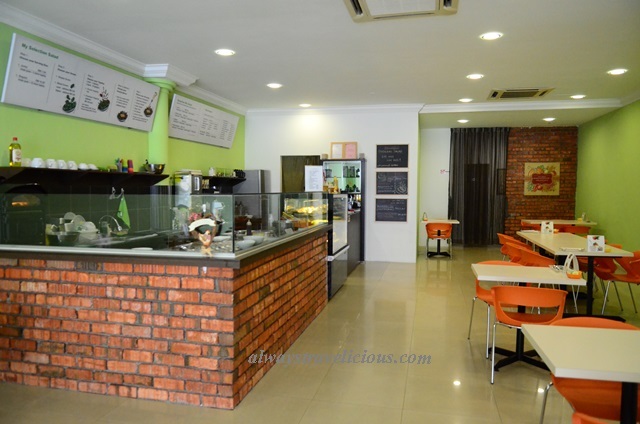 Located amidst the residential area in Ipoh Garden East catering to residents nearby, Tammy’s Kitchen preps food with flawless execution with the use of basic, natural and fresh ingredients, turning them into something extraordinary. A simple salad instantly outshines others of the same kind with the use of an olive oil based vinaigrette with ground herbs, while a piping hot cheesy salmon marinara would make one thankful for the little things. The quiche too is a popular item with returning patrons. Expect Rm 20 – RM 35 per person for one food and one drink. 7 Hala Bandar Baru Tambun 18, Desa Tambun Indah, Ipoh Perak. 9. 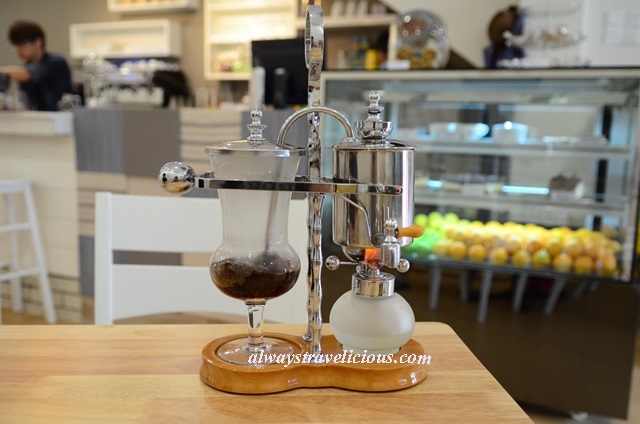 Espresso Lab – Pork Free, but alcohol in some desserts. 18. Myth – Pork Free, but alcohol is on the menu. 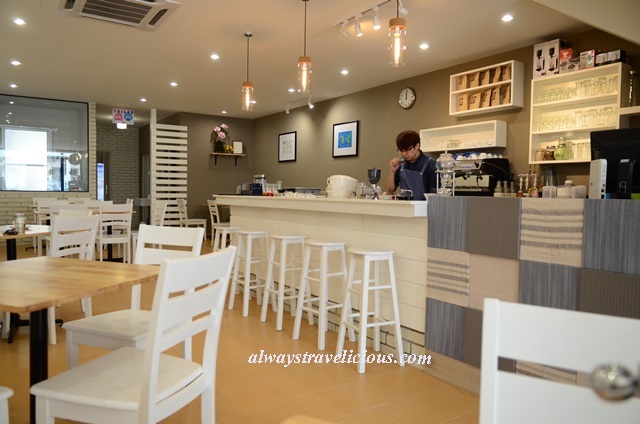 Hi there KJ, thanks for the recommended cafe in ipoh, but I got a slightly comment in up to 81 cafe in ipoh, which is the top 10 or 20 cafe which is highly recommended by you? Because there is too many cafe in ipoh, I’d just come back for a few times, so the chances of visiting 81 cafe are quite hard. Would you mind recommending those to me? 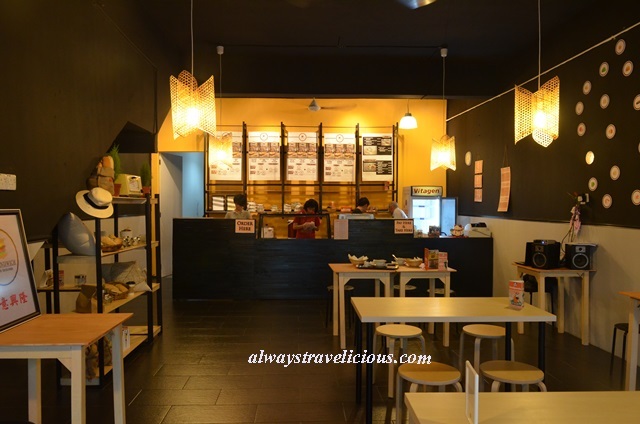 There’re few more cafes/eateries you missed out; Karat cafe (beside Thumb’s Cafe), Konda Kondi Cafe & Bistro (in front S.O.S Club), Mat Periuk (one in Tasek and one in Tambun), and Burger Camp (in Greentown Business Centre beside Wisma Kurnia). Hi. Thanks for the recommendation! Konda Kondi & Karat opened in 2015 so it wasn’t really in time for me for the post featuring mostly 2014 cafes. 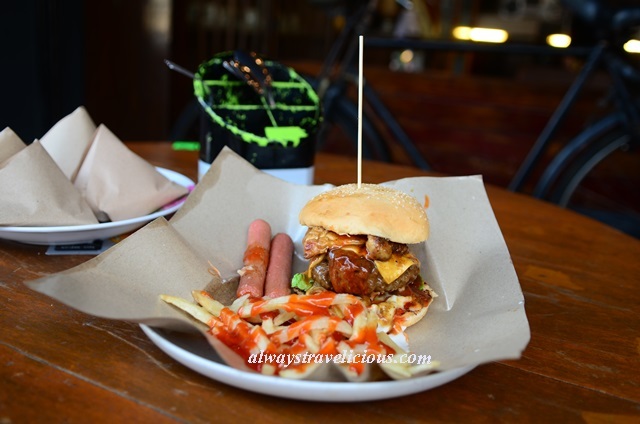 Burger Camp – I wrote about it –> http://alwaystravelicious.com/2014/03/14/burger-camp-ipoh/. It’s a burger joint, but probably would not list it under “cafes”. Heya.. You missed out on mat periuk located at bercham.. Great info you have going there..
Hi. I checked with them. They said it’s halal via a FB message. But just double confirm with them again. I don’t you and your friends end up eating things you shouldn’t been eating. Thanks for this information cafe post!! 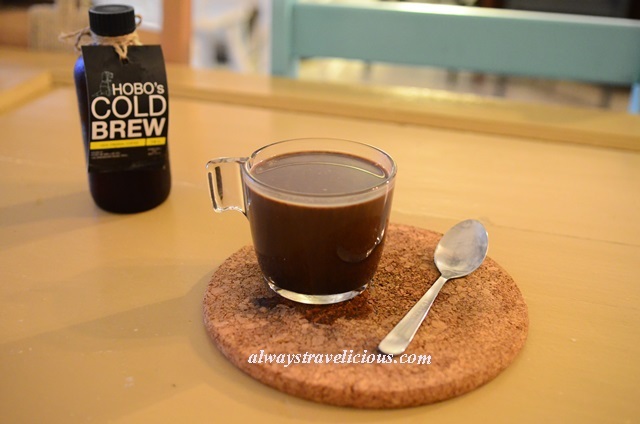 I’m so glad I stumbled upon it because my boyfriend loves his coffee (he has one everyday back in the UK in the morning) but we are backpacking now and he hasn’t had decent coffee since we have started travelling!! We are going to Ipoh today so I will use your post as a guide to find some awesome coffee for him. Give him a good surprise. Thanks Lydia ~ All that eating come with sacrifices… Now I need to shed some weight, lol! Appreciate the posts which covers lots of details including spot, prices, & recommendations. Would be great if you could take the 1 overall surrounding area of the shops. No pressure. I just had Chiang Jiang White Coffee. Simple & cossy. Cheap also. Hi Theo. Thanks for the suggestion. I didn’t include the surrounding area of the shops because it would make the post too long. However, if you click into individual links of each cafe, it will be a more detailed post on that particular cafe, which will include photos the surrounding area too. Hope that helps. Basileou Salad and The sandwich already permanent close for business. Vanity haus also permanent closed for business. Sad to hear that 🙁 I guess too many cafes opening in Ipoh these days.